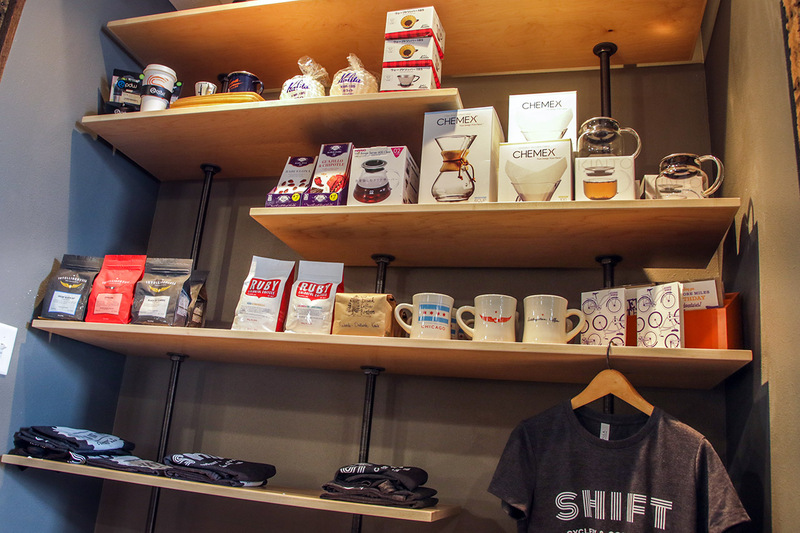 Right now, downtown retail is seeing a big revival, with new shops opening fast. 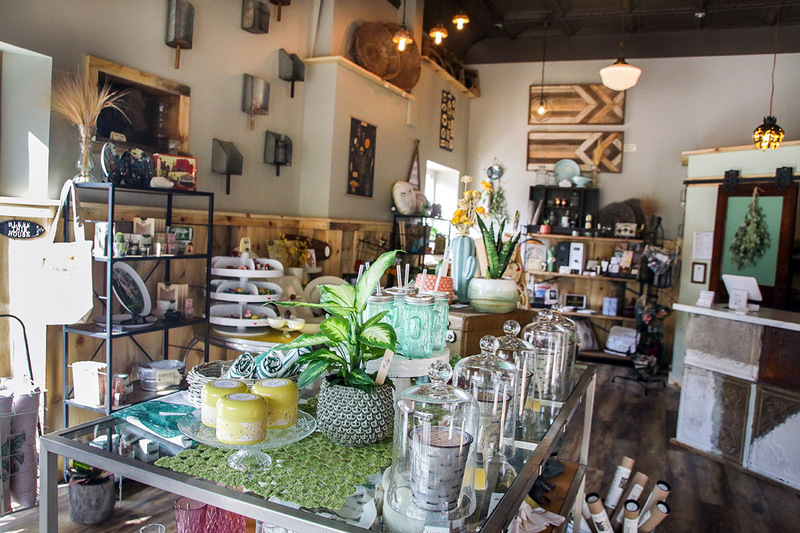 Both brand new and longtime retailers are crafting fun and authentic shopping experiences while seeing foot traffic rise like never before. 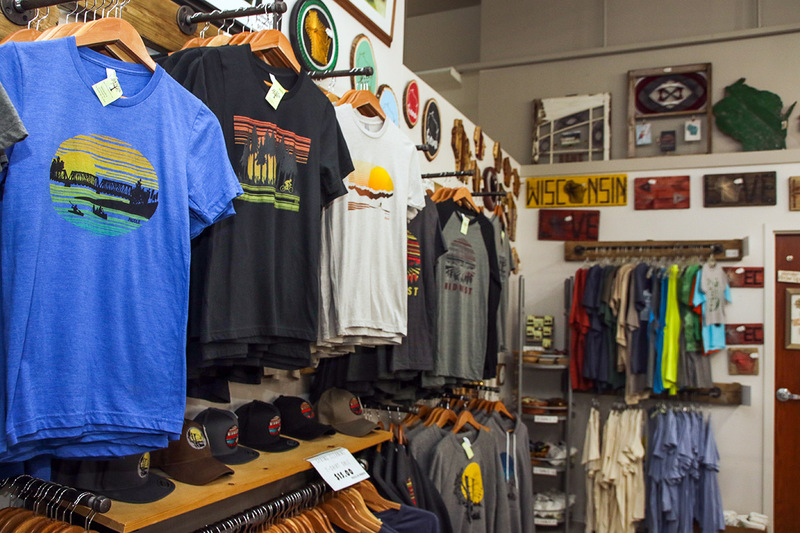 So this summer, more than a dozen downtown stores have partnered with Volume One and Visit Eau Claire to bring on the Downtown Summer Shop Hop, a celebration of our growing retail scene and your chance to win big. 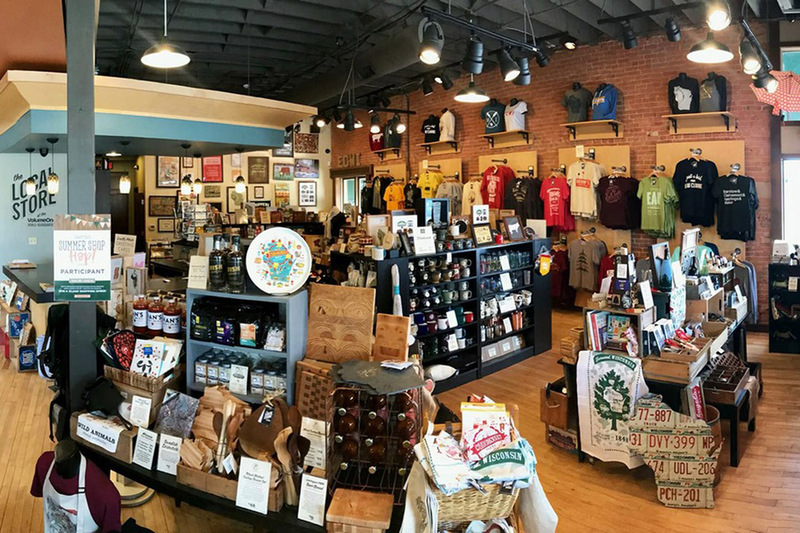 While you explore all of what the Barstow and Water street districts have to offer, stop into 10 of the participating stores (grabbing a passport stamp at each spot) and you'll be eligible to win a $1,000 city center shopping spree including $700 in gift cards to each store as well as a bonus $300 in Buy Local Bucks from the Eau Claire Area Chamber of Commerce. 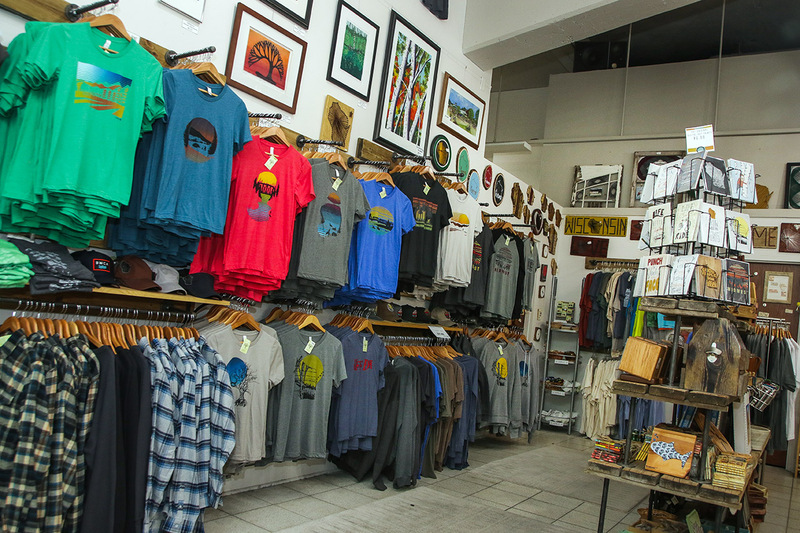 Pick up a passport card at one of the participating shops. 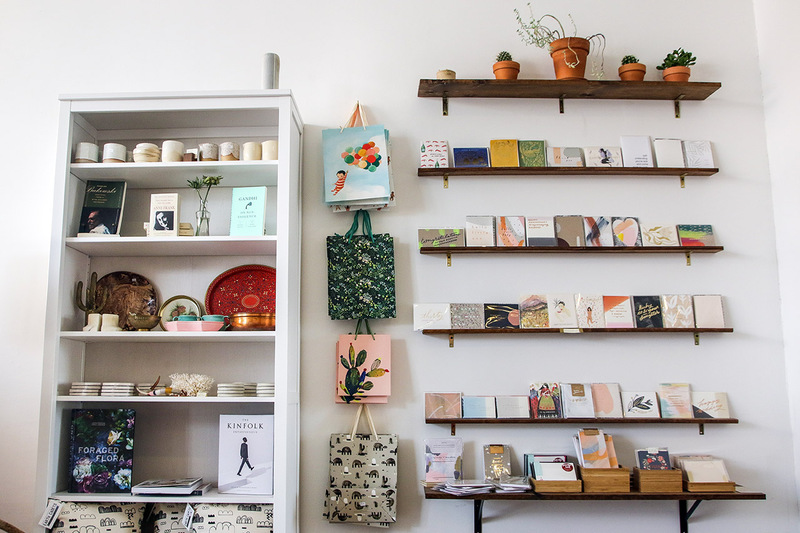 Mail it or drop it off at Volume One, at Dewey & Galloway. 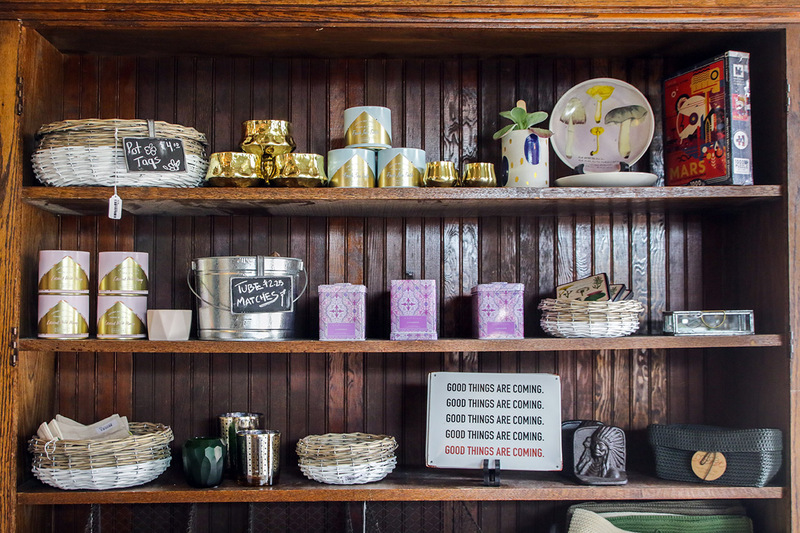 Visit at least 10 of these shops this summer. 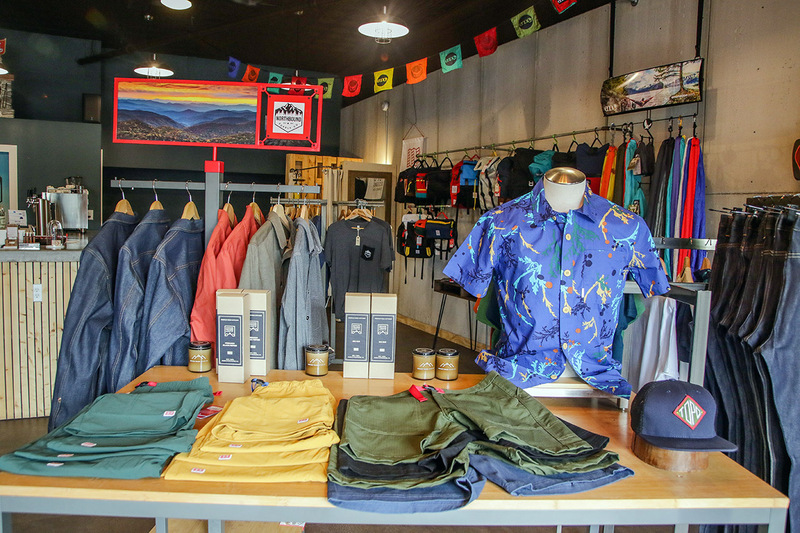 Fri: noon-6pm. 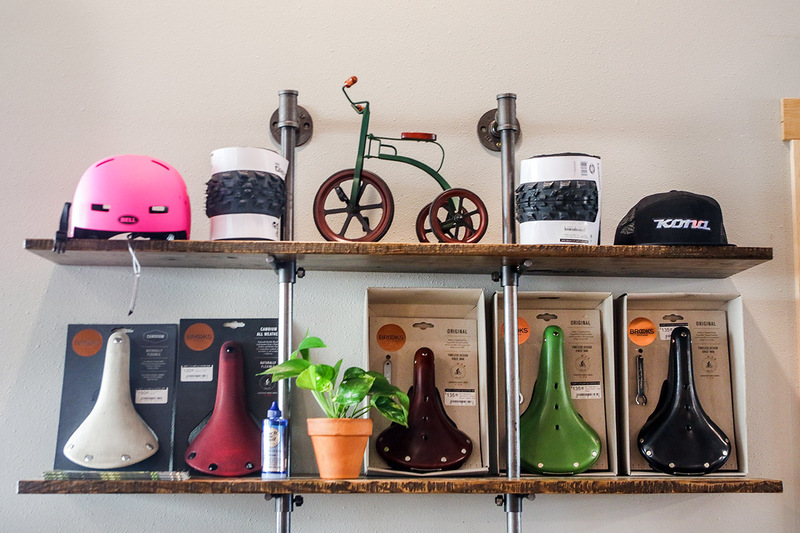 Or, call for appointment anytime. 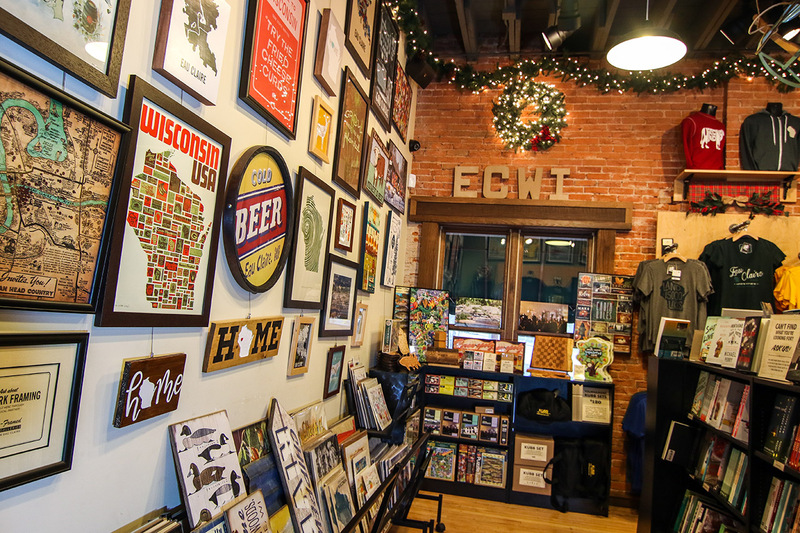 Packed with great art and cool vibes, 200 Main Gallery as been thriving on the corner of Main and Graham in downtown Eau Claire for over two years. 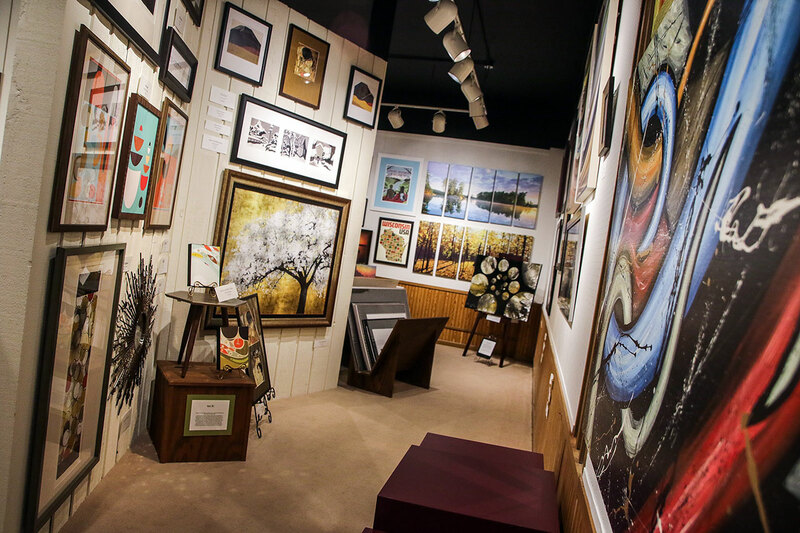 Voted ‘Best Art Gallery’ in Volume One’s 2018 Best of the Chippewa Valley Reader Poll, they feature both local and regional artists with different individuals to date. 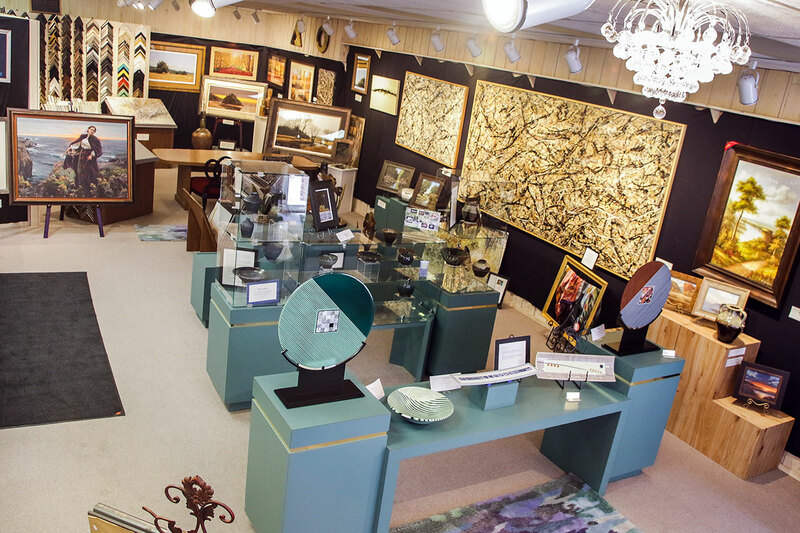 The gallery changes its look every few months, with paintings, illustrations, sculptures, artistic tables, ceramics, and more. 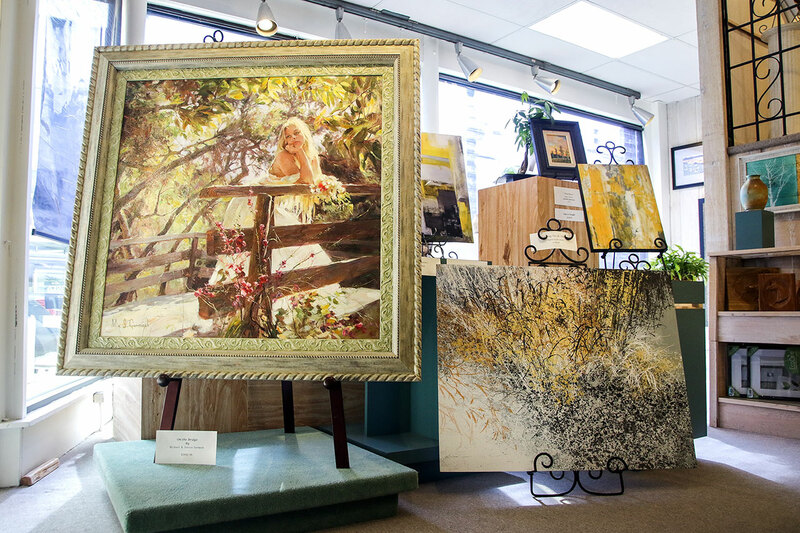 Their goal is to bring beauty to your home, office, or business. 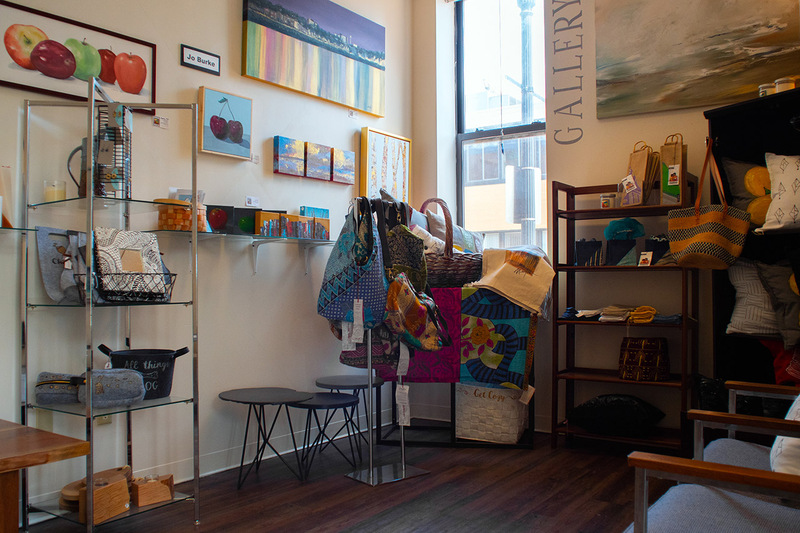 Check out their special Gallery Market for textiles, unique gifts, and jewelry. 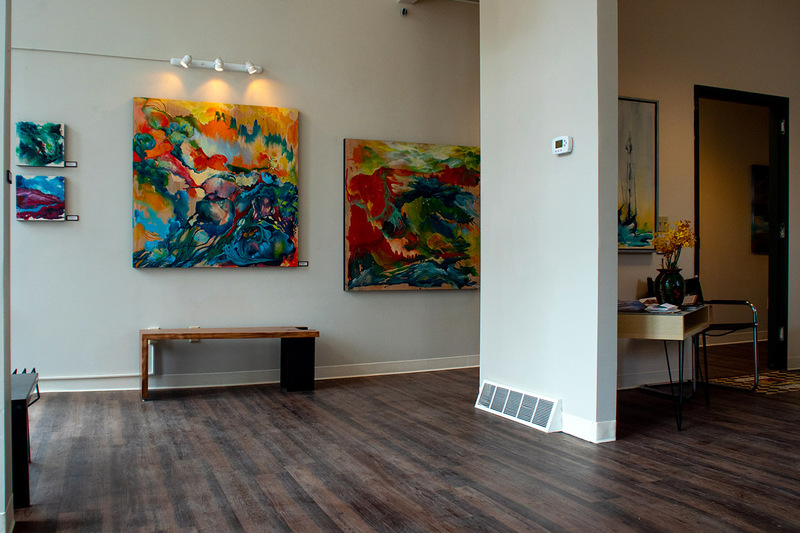 Watch out for art openings and exciting changes coming this summer, including a wine bar, artwork rentals, and special events. 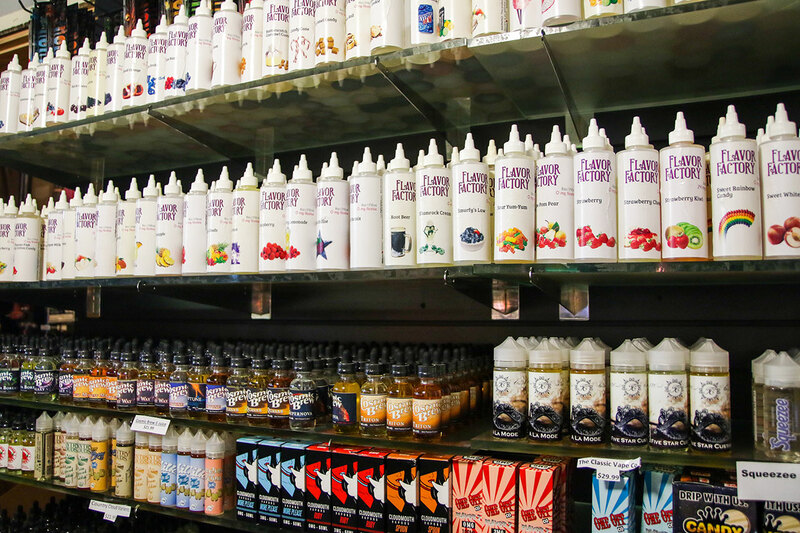 Azara is your one stop smoke and vape shop! 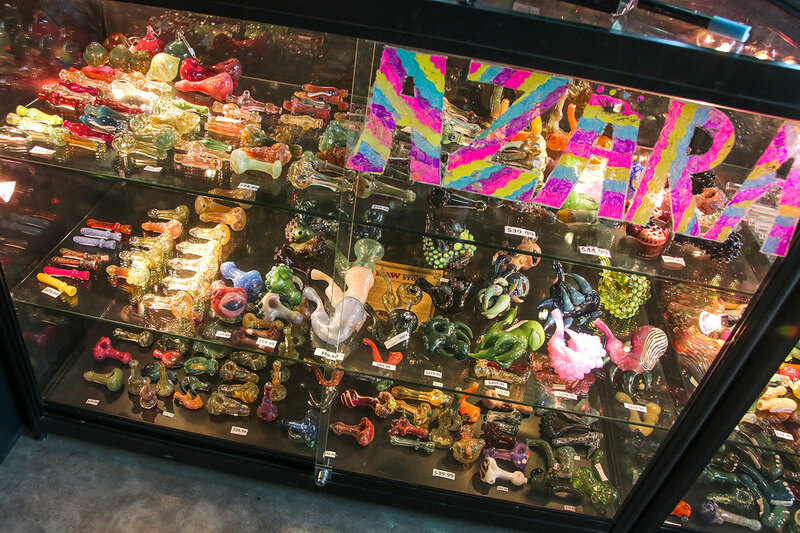 Find everything from tobacco products, vape supplies, river floating tubes, Frisbee golf discs, beautiful glass work, and so much more! 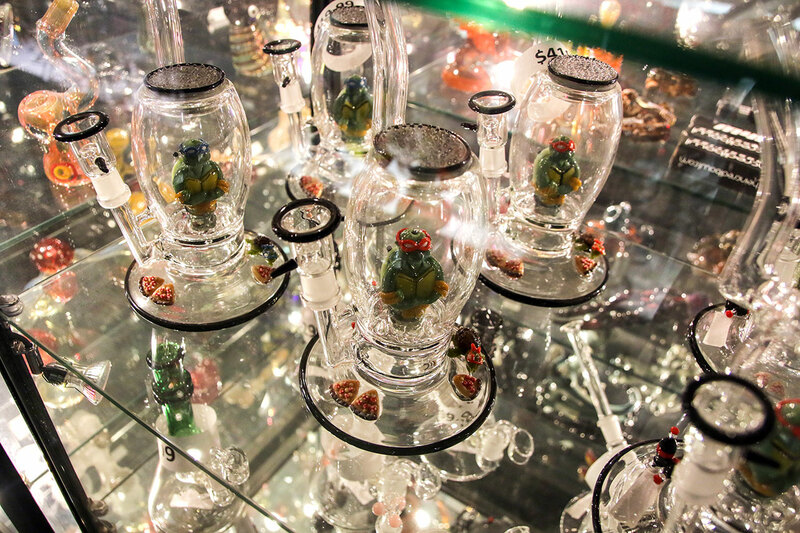 Also check out the live glass blowing studio. 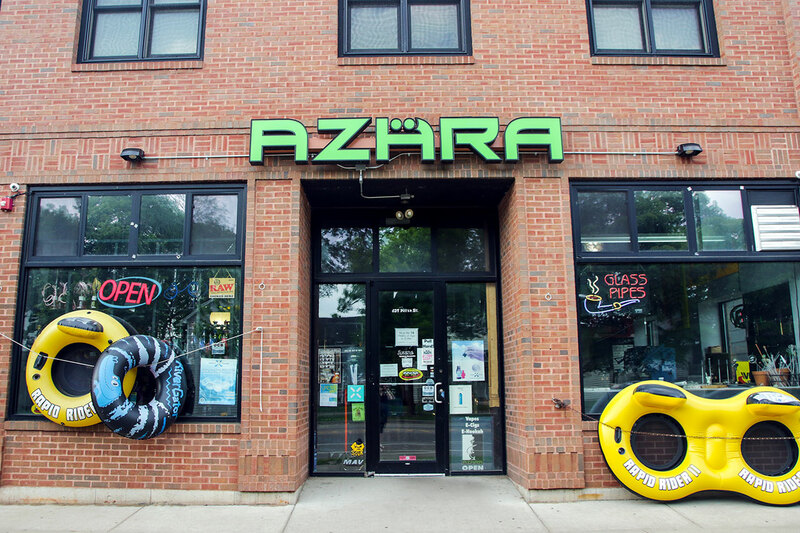 You can now order online as well at AzaraVape.com, AzaraHookah.com, and AzaraCBD.com. 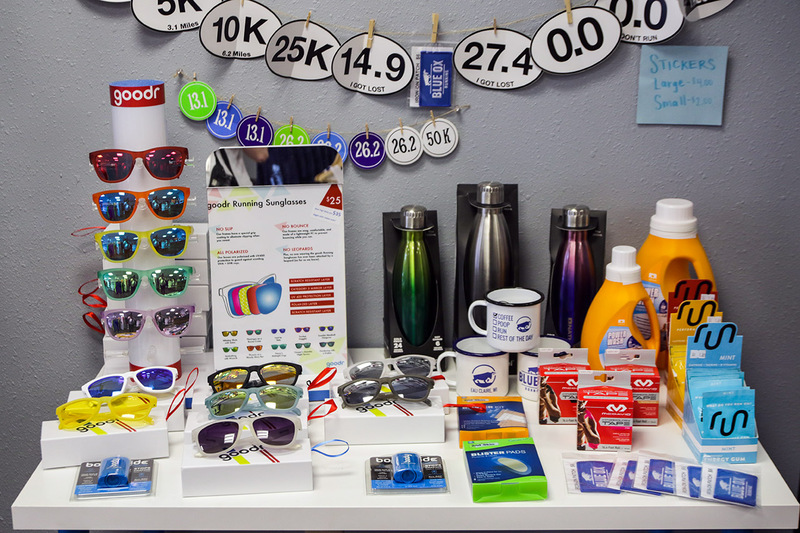 Like them on Facebook to be part of the weekly giveaways! 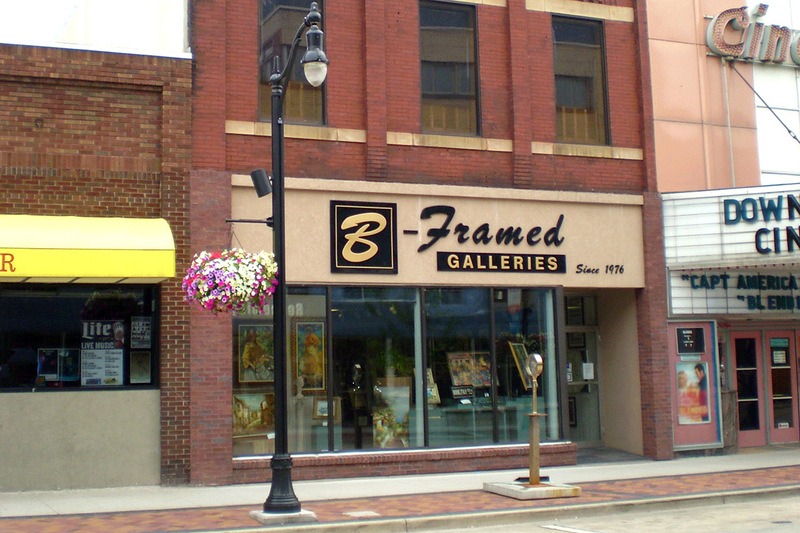 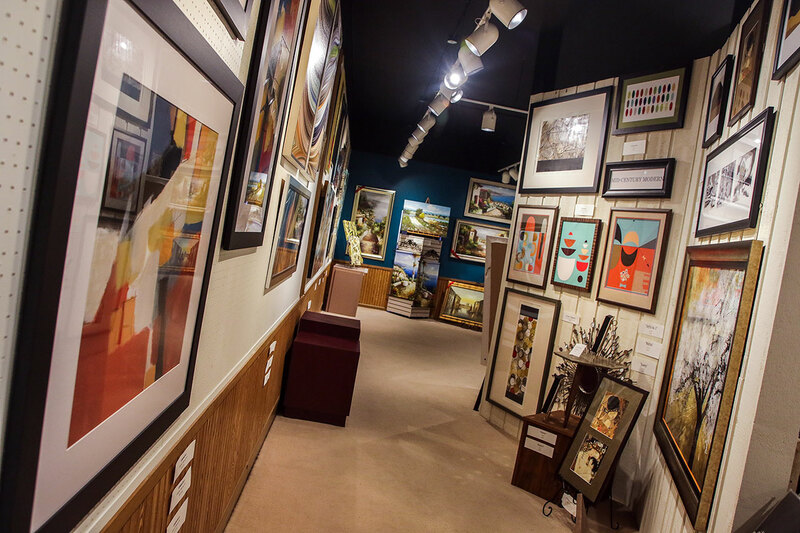 Since 1976, B~Framed Galleries Fine Art & Custom Framing has brought the most distinguished craftsmanship and international fine art to the Chippewa Valley. 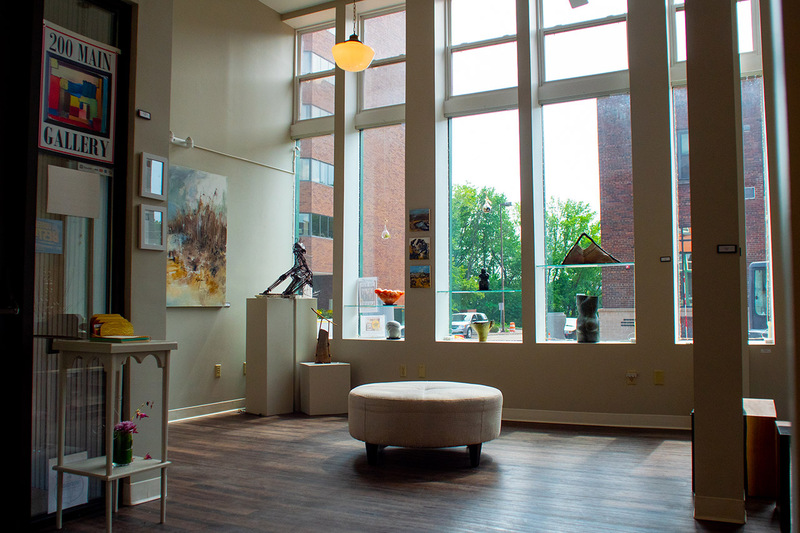 Located in the heart of historic downtown Eau Claire, the two story gallery features a combination of Wisconsin & international artists, local photography, and an ever changing collection of 3D artwork. 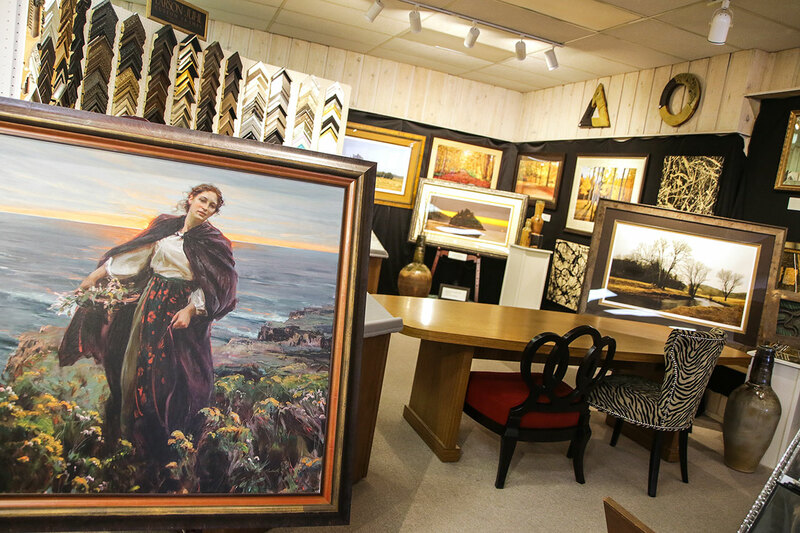 Your custom framing vision can come to life with the help of the experienced design professionals at B~Framed Galleries. 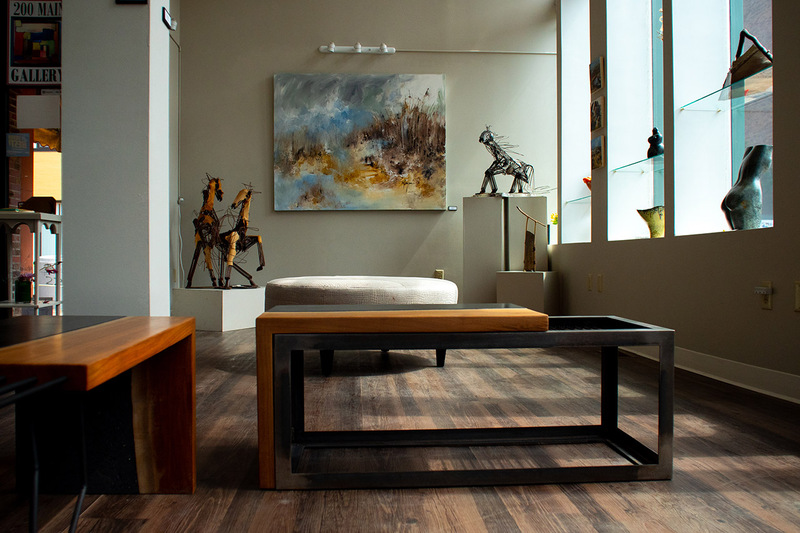 Simply give the gallery a call or drop by the showroom to get started. 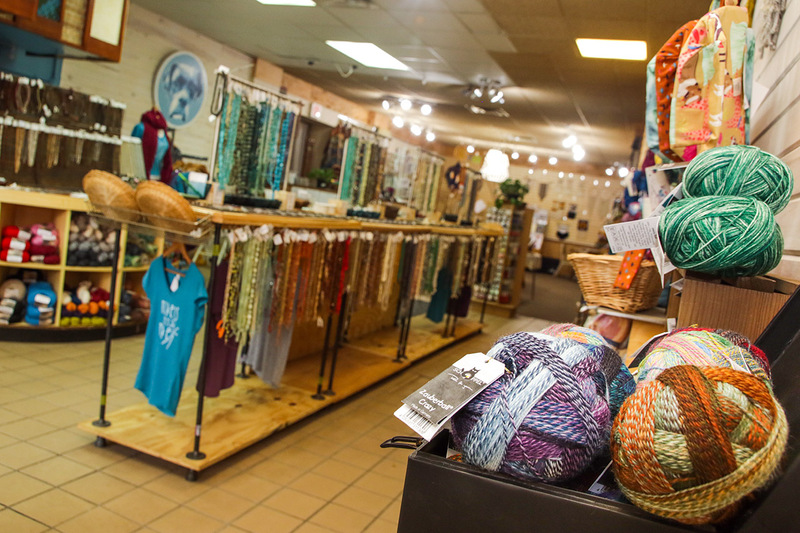 Blue Boxer Arts is the Chippewa Valley’s only locally owned bead and yarn shop. 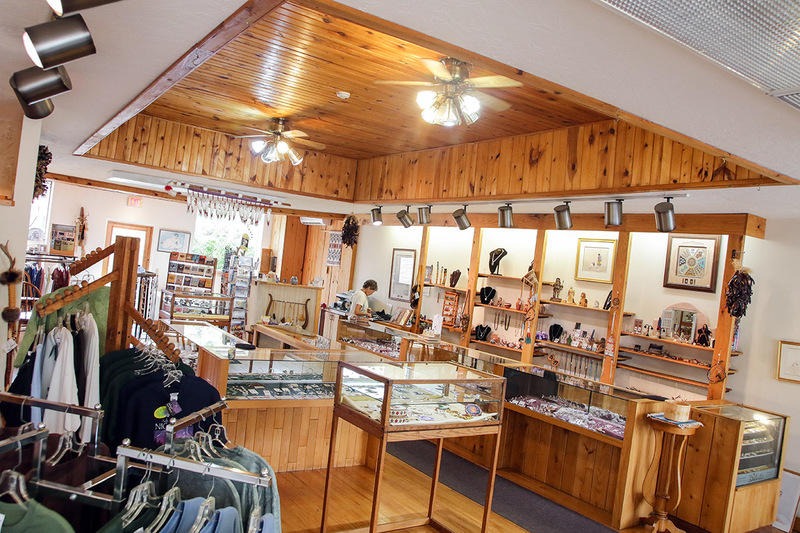 With an excellent selection of locally produced yarn and fibers, they make shopping local easy and fun. 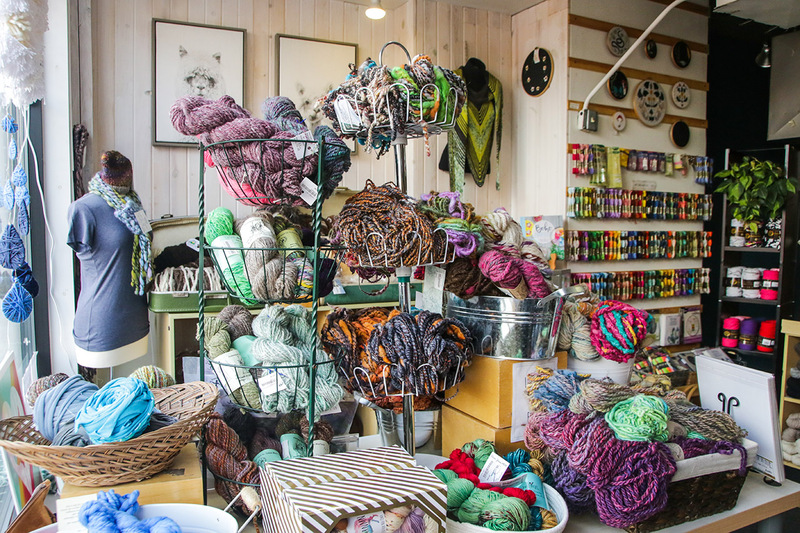 Find a wide variety of premium and affordable yarns, fibers for needle felting and spinning, string and cord for macrame as well as embroidery threads and supplies. 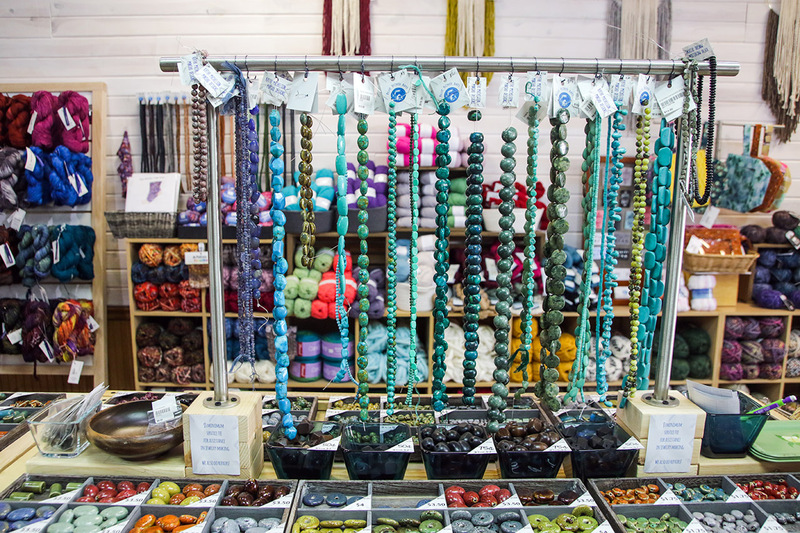 Complete your next jewelry project with a wide variety of beads! 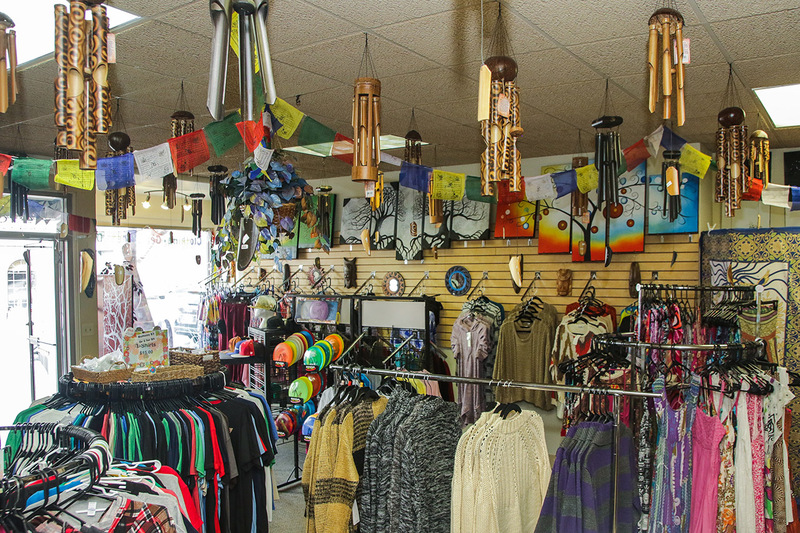 Pendants, beads, components, findings, and more. 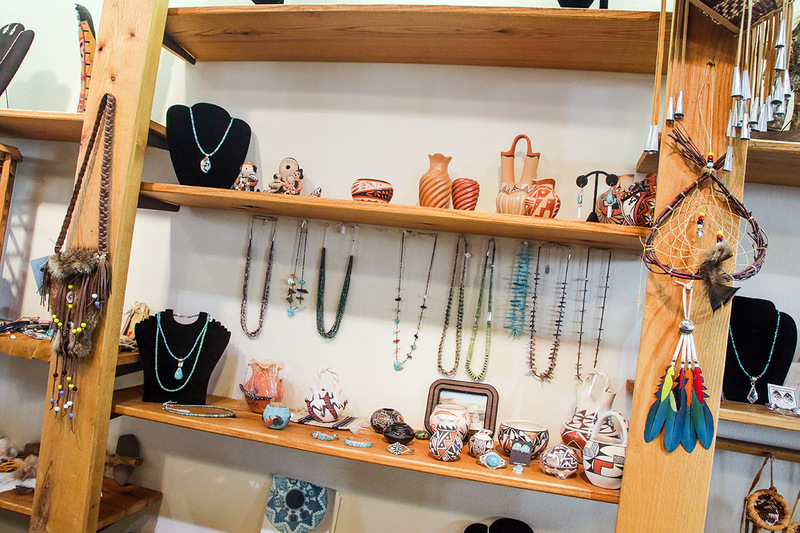 They also can do repairs on your broken jewelry items or help you make your own! 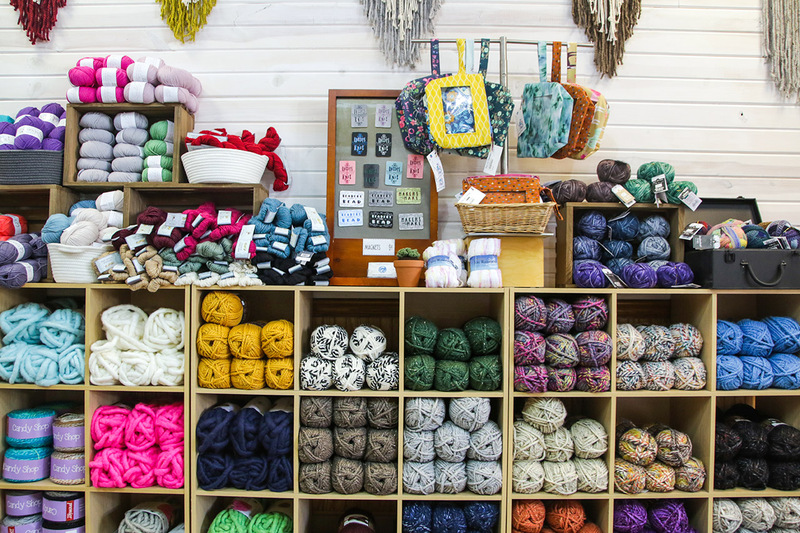 Join them for Knit Club every Wednesday 6-8pm, or try one of their variety of classes. 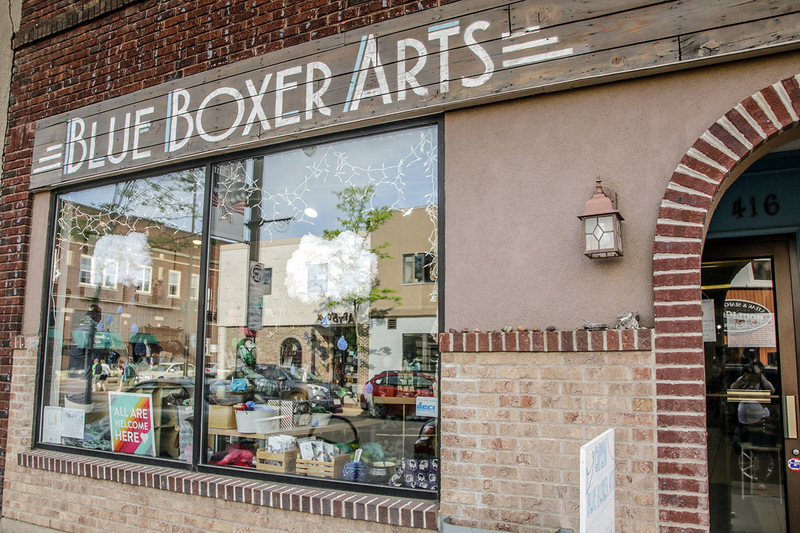 Like them on Facebook to stay up to date on all classes and events! 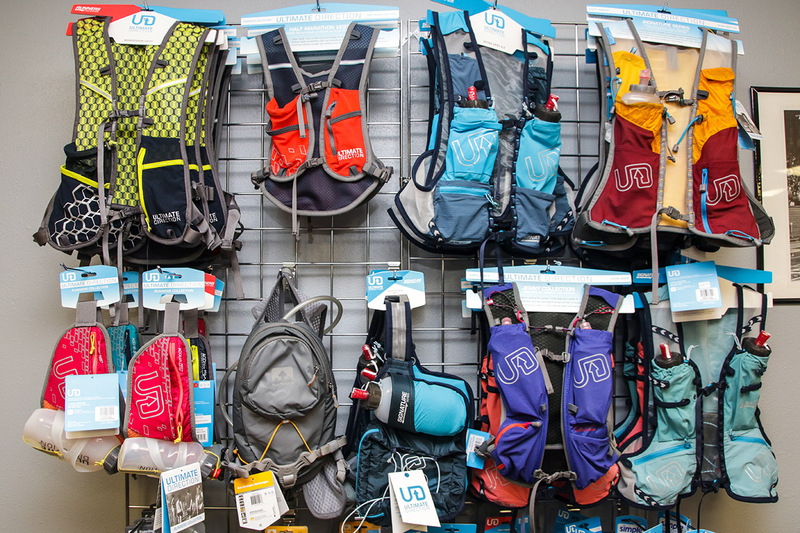 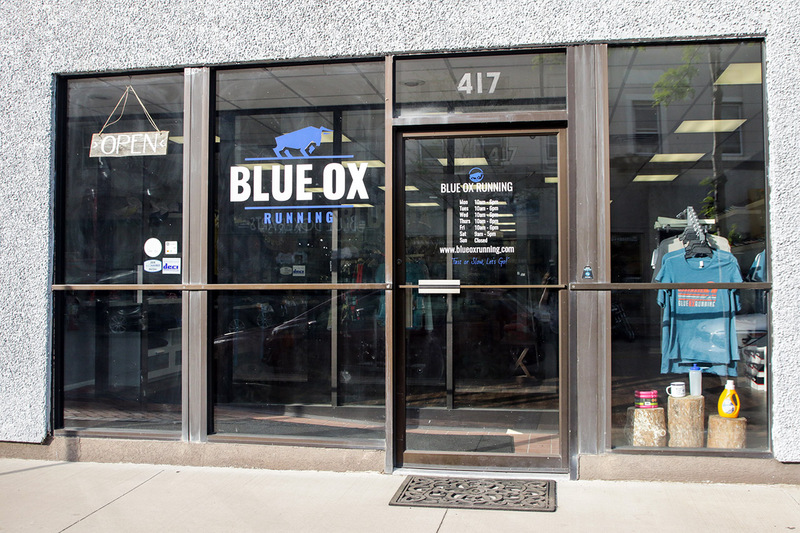 Blue Ox Running is a family owned specialty running store that provides everything you need to start or continue running & walking. 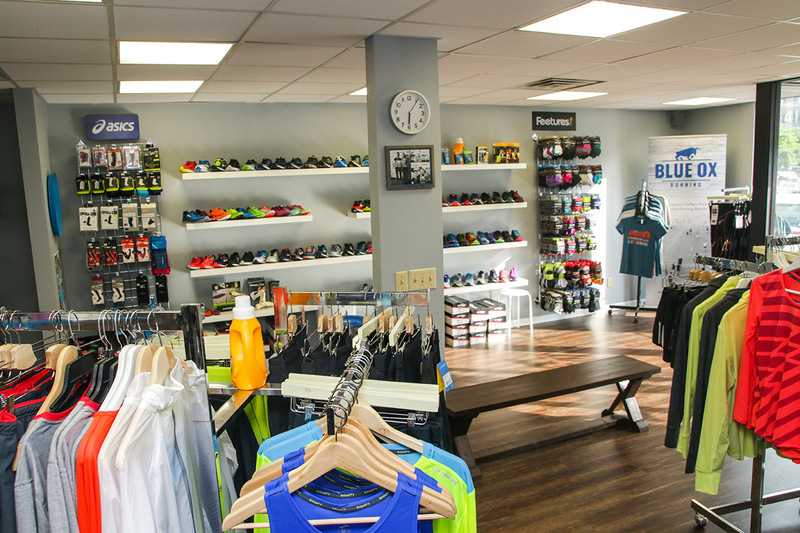 Owners and UW-Eau Claire alumni Adam & Alicia Condit have gained experience from some of the best running stores in the nation and pride themselves on bringing the best customer experience & knowledge back to Eau Claire to provide their customers with a free gait analysis as part of the normal shoe fitting experience. 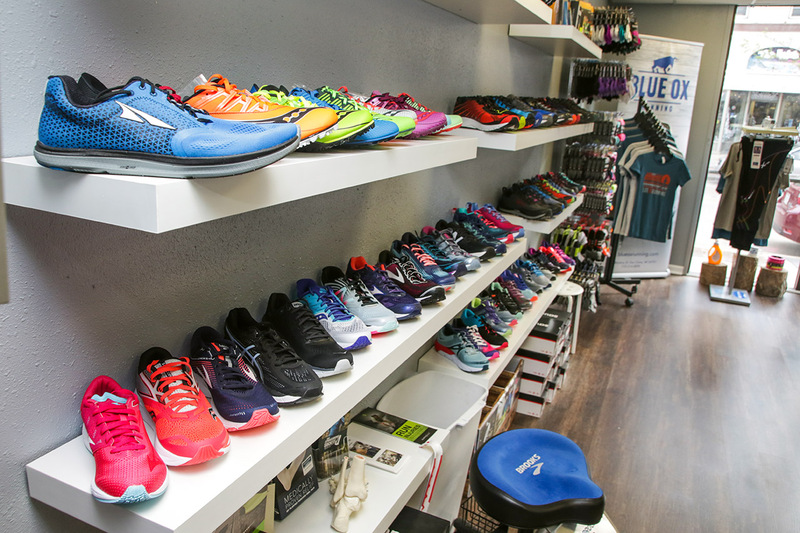 Premium products, weekly group runs, community involvement, & having a ton of fun are what make Blue Ox Running an area favorite and what named them Chippewa Valley’s Best Place To Buy Shoes by the 2018 Volume One Reader Poll in their first year of business. 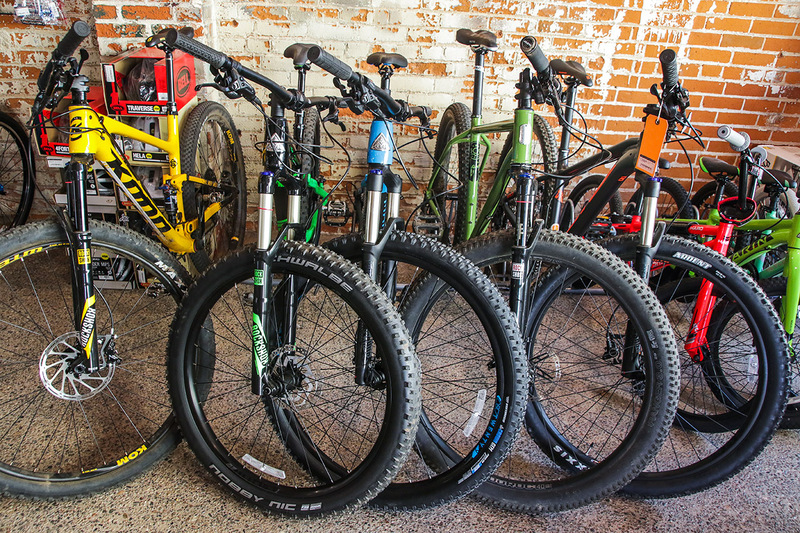 Their motto is “Fast or Slow, LET’S GO!” - everybody is welcome from all abilities & experience levels. 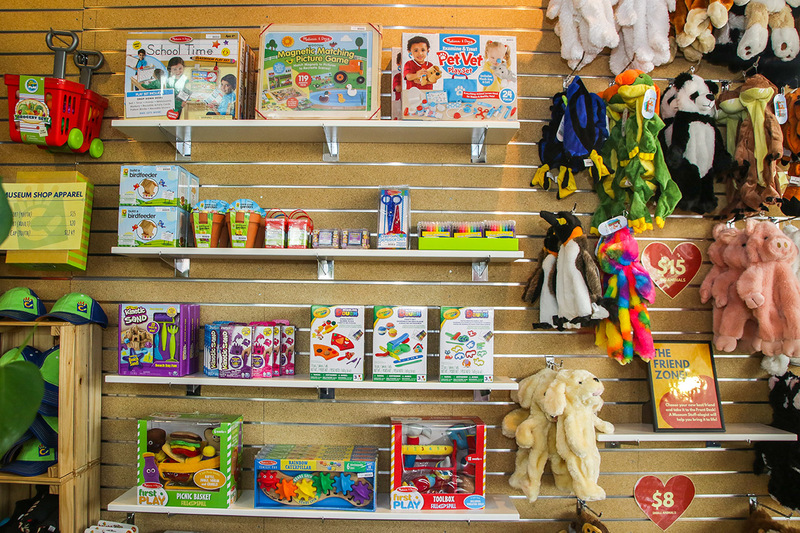 Looking for just the right gift for a special child in your life? 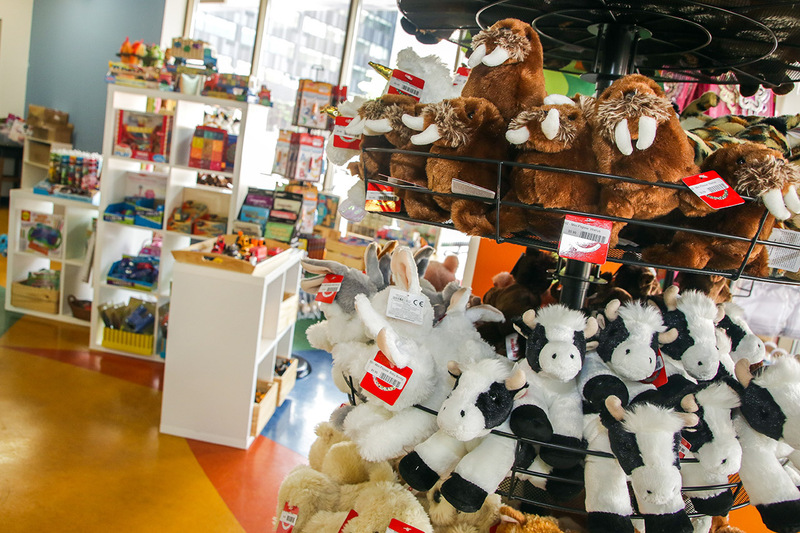 The Museum Shop is full of fun treats and treasures to keep your child learning and playing long after they’ve left the Museum! 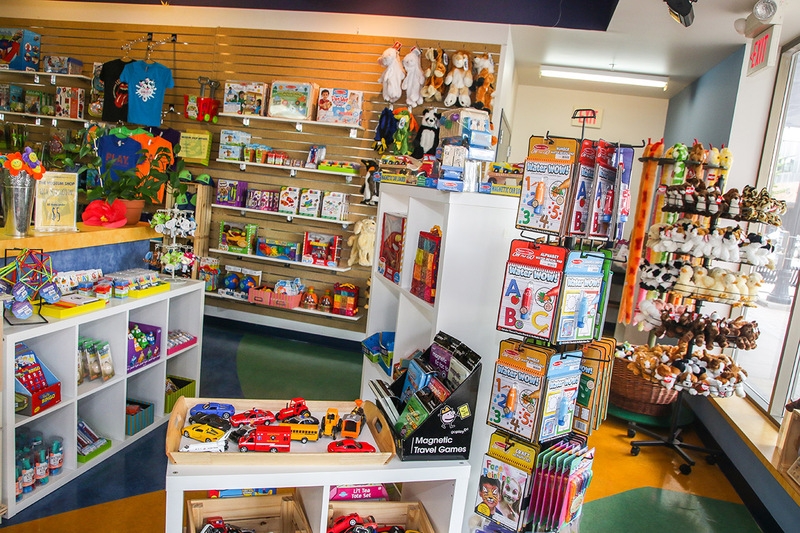 From educational toys and science experiment kits, to art supplies, souvenirs and dress-up items, CMEC has it all. 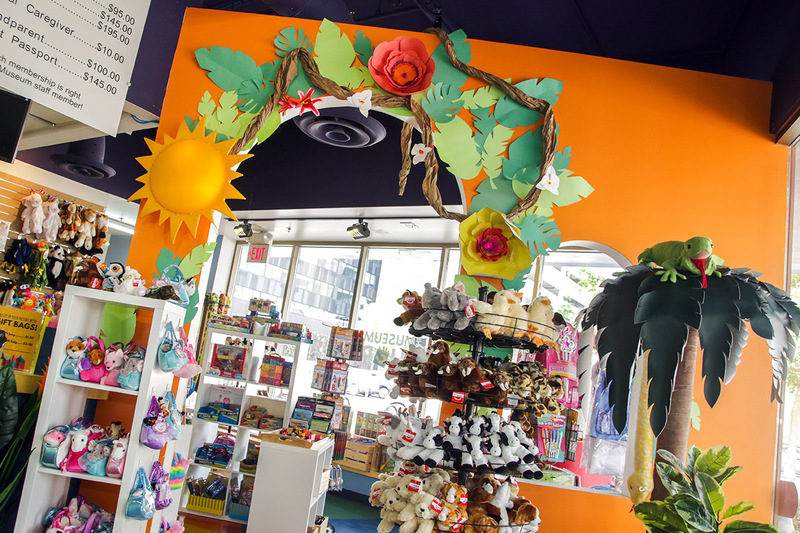 Gifts in the shop are perfect for birthdays, holidays, teacher appreciation, preschool and elementary school graduations, slumber party activities, road trip activities, Big Brothers, Big Sisters participants, and anyone who enjoys lifelong learning and play! 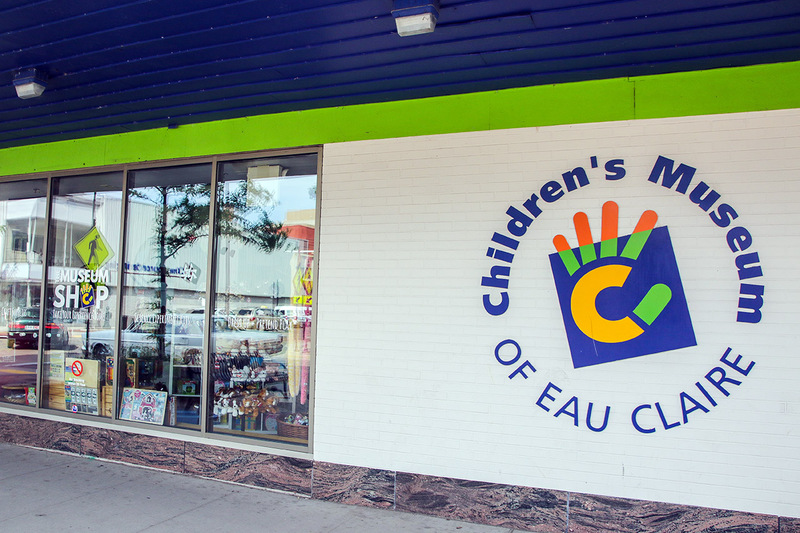 No matter the occasion or the recipient, CMEC has the perfect fun and educational gift waiting for you! 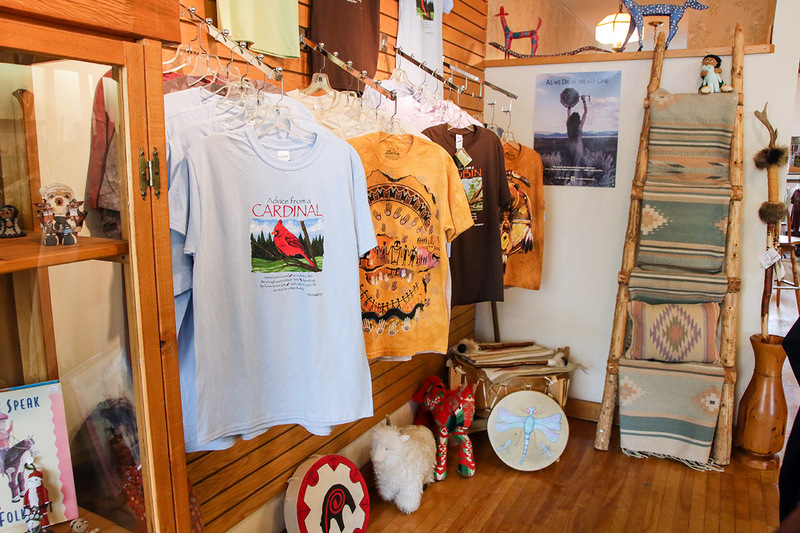 Best of all, you don’t need to pay admission to visit the gift shop! 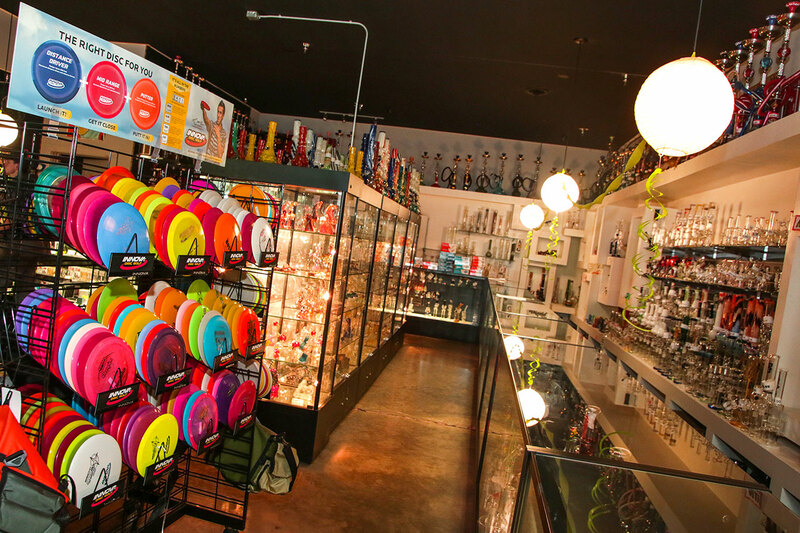 Just swing by the next time you’re downtown. 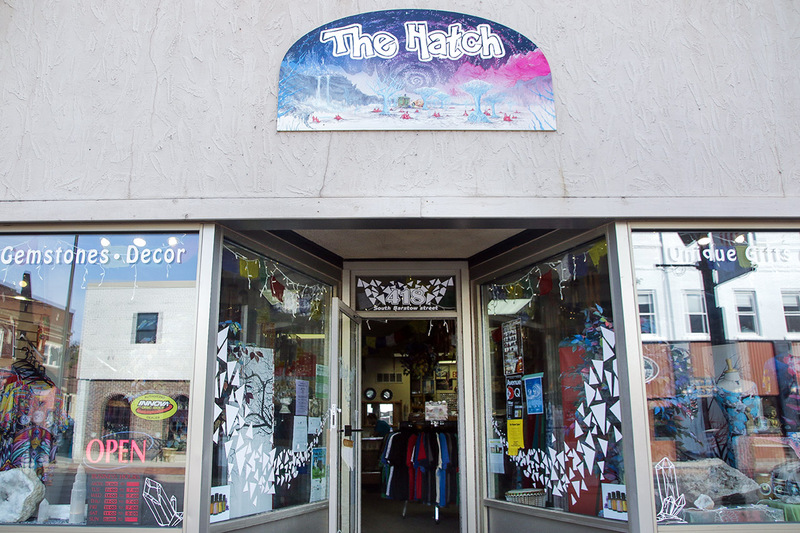 The Hatch is a locally owned gift shop that carries clothing, imports, crystals, stones, longboards, unique gifts, and more. 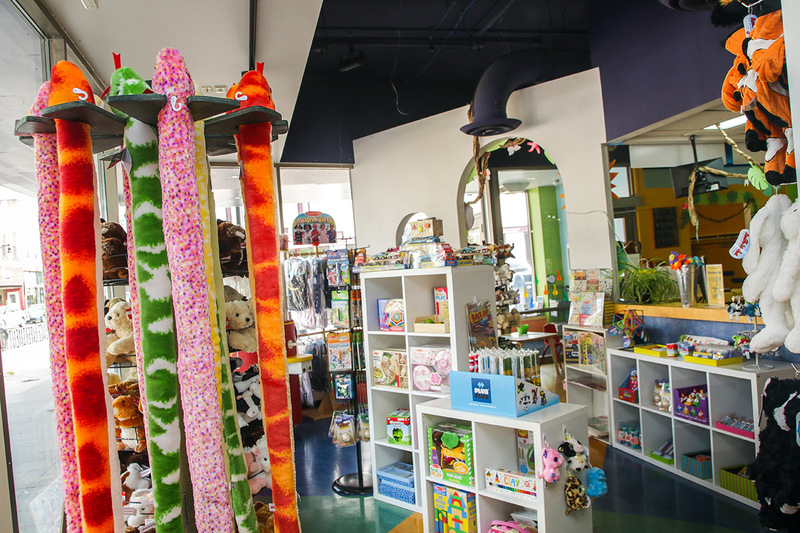 They are happy to answer questions and help you find that something for everyone. 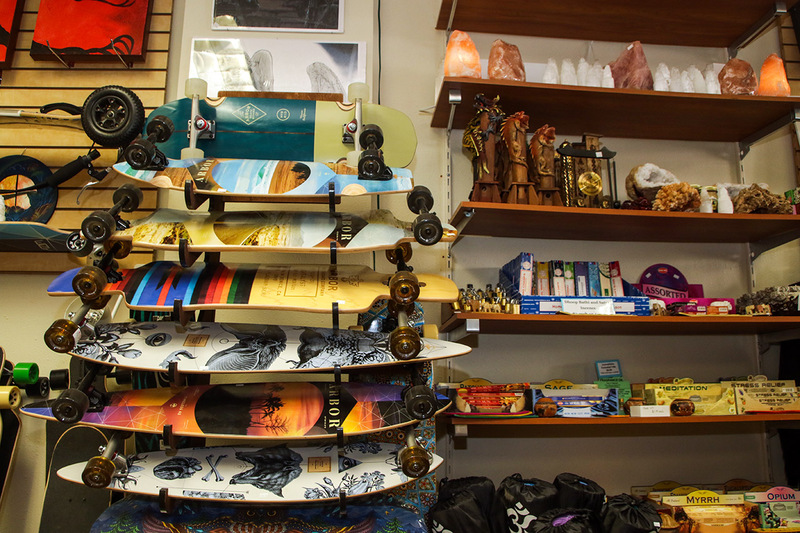 Check them out on Barstow Street. 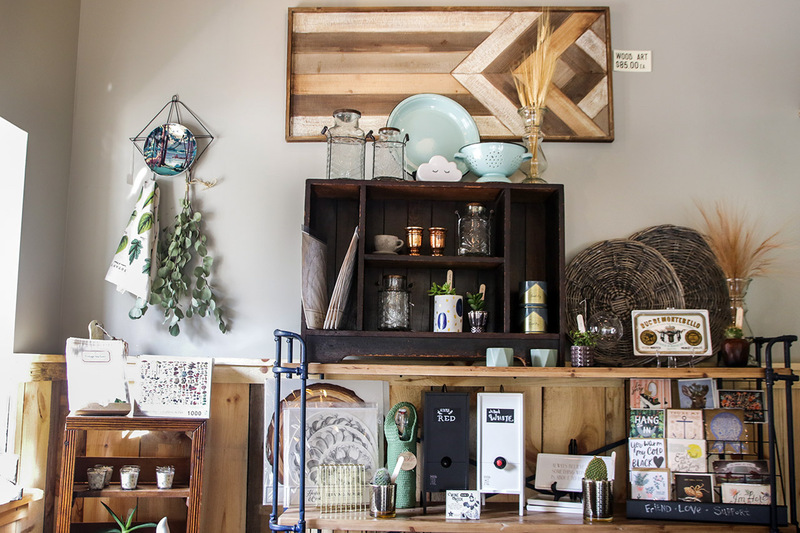 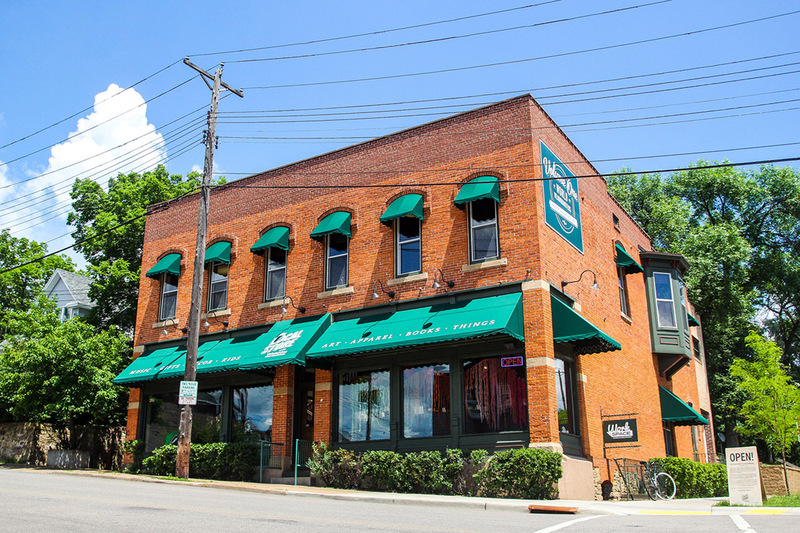 Residing inside a historic 1880s brick storefront, The Local Store offers a huge selection of items made by local makers and designers, as well as fun items simply inspired by this community’s way of life. 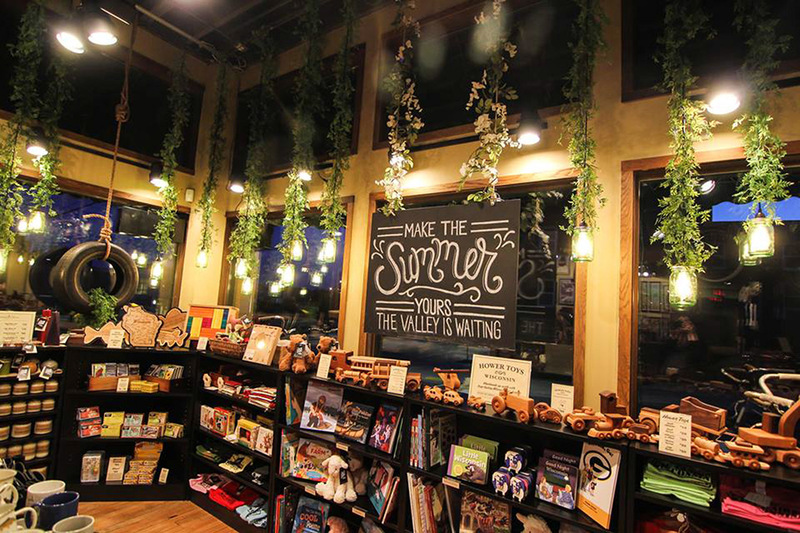 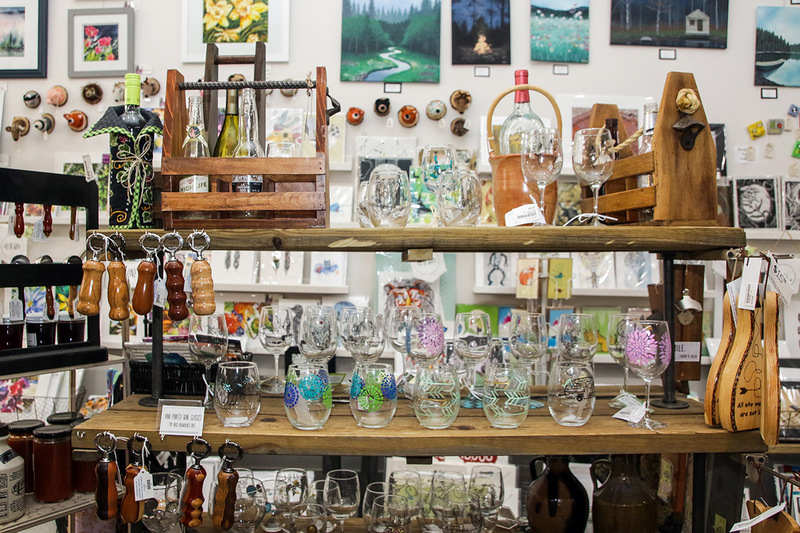 Peruse a delightful array of gifts, housewares, apparel, art, books, music, kids’ stuff as well as the Volume One Gallery featuring rotating exhibitions of fine local art, live music, book readings, film screenings, discussions, and even tastings. 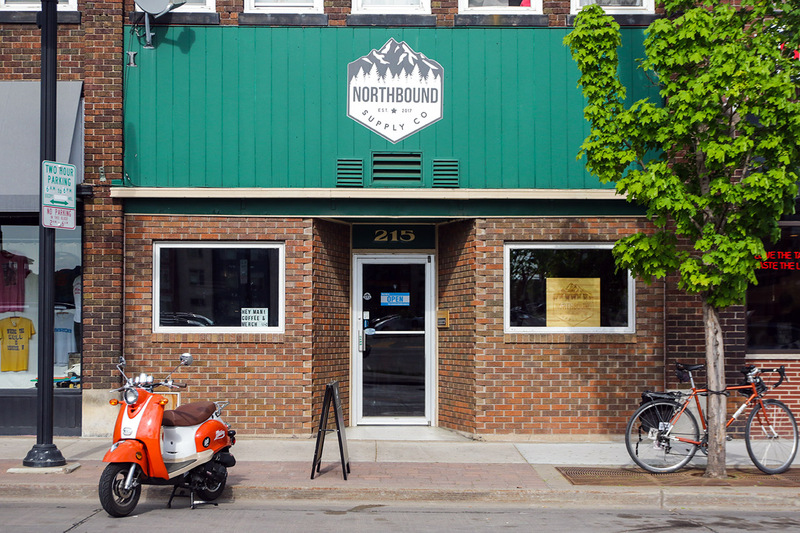 Northbound Supply Co features outdoor goods, gear, gadgets, and apparel for the modern human, craft coffee and espresso bar, drinkware and coffee brewing accessories, and a cool environment to grab a coffee and share a tale or two. 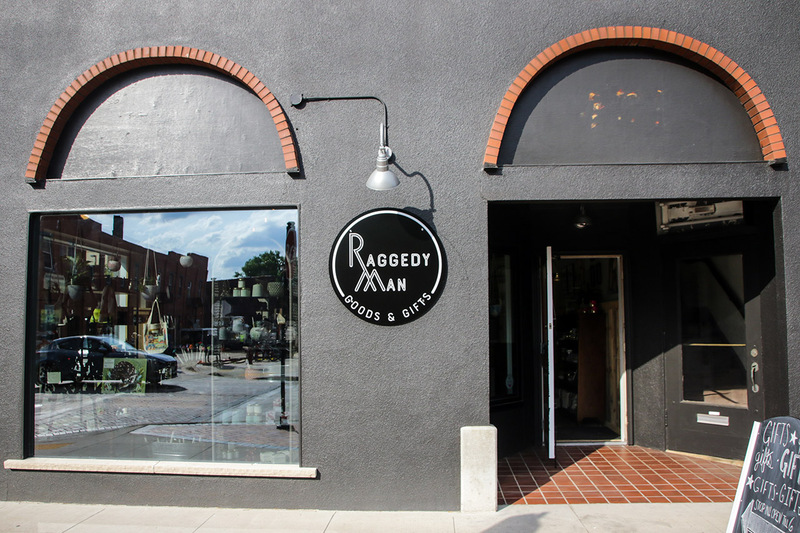 Raggedy Man is the newest addition to the downtown shop scene! 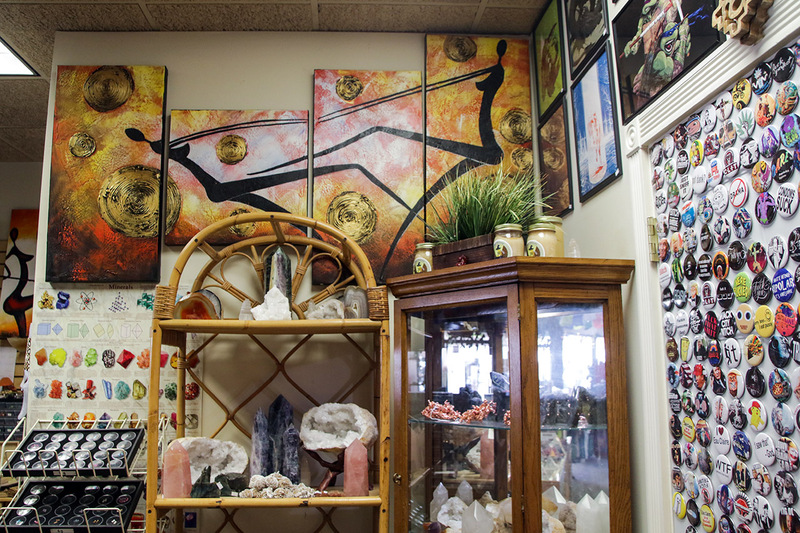 It is a gift shop, located on the corner of Barstow and Main downtown. 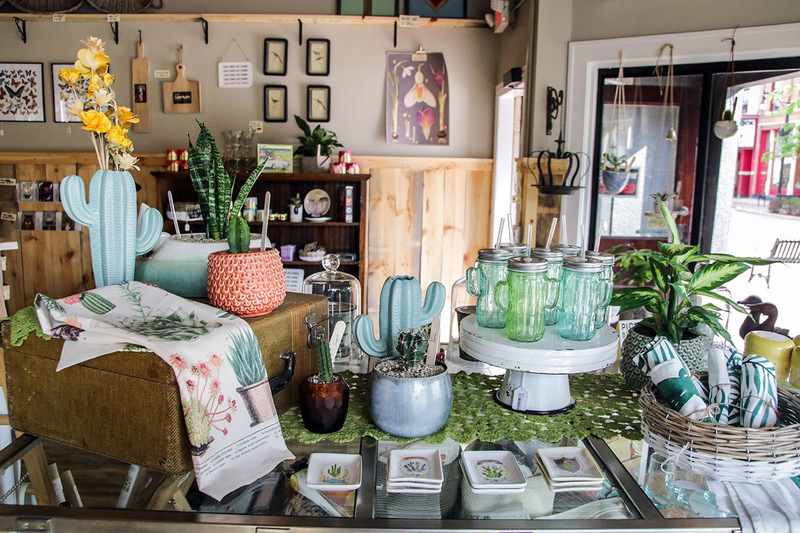 The shop sells fun and unique gifts with the vision of being a one-stop shop of affordable items for all occasions, including baby showers, house warming, weddings, birthdays, or just a fun gift to treat yourself. 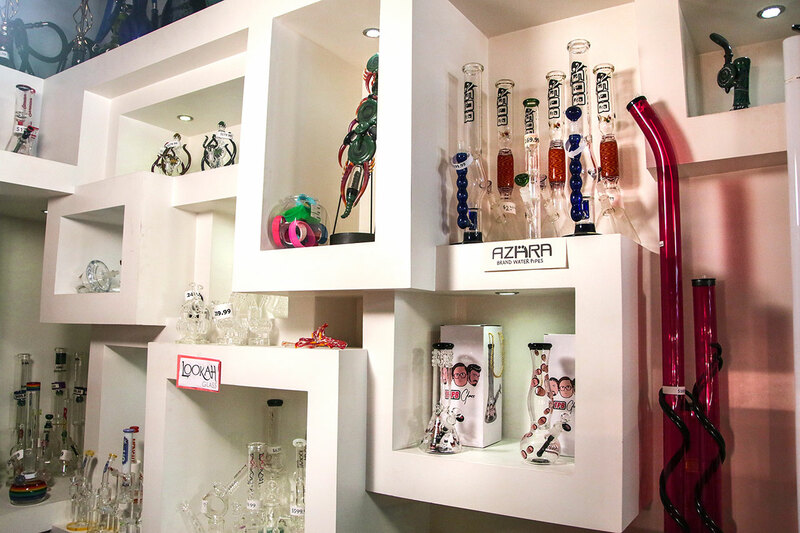 With the wide array of gifts, Raggedy Man has a little something special for all the special people in your life! 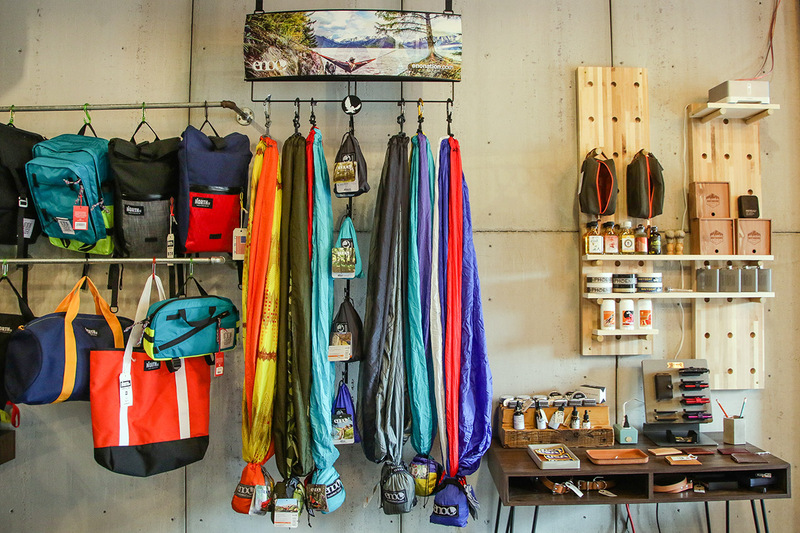 Don’t forget to say ‘hi’ to the shop dog Kaya. 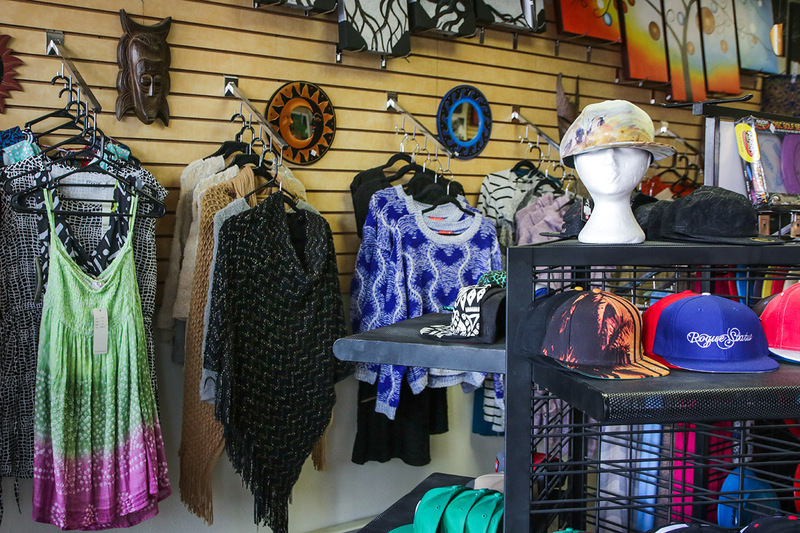 Red’s is a women’s lifestyle shop based in the heart of Eau Claire. 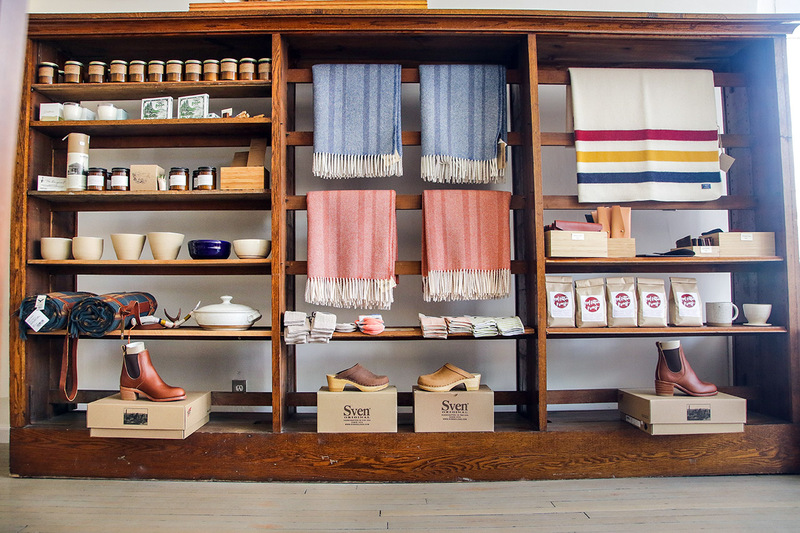 Their design eye is derived from their Scandinavian heritage - simple, timeless, and functional. 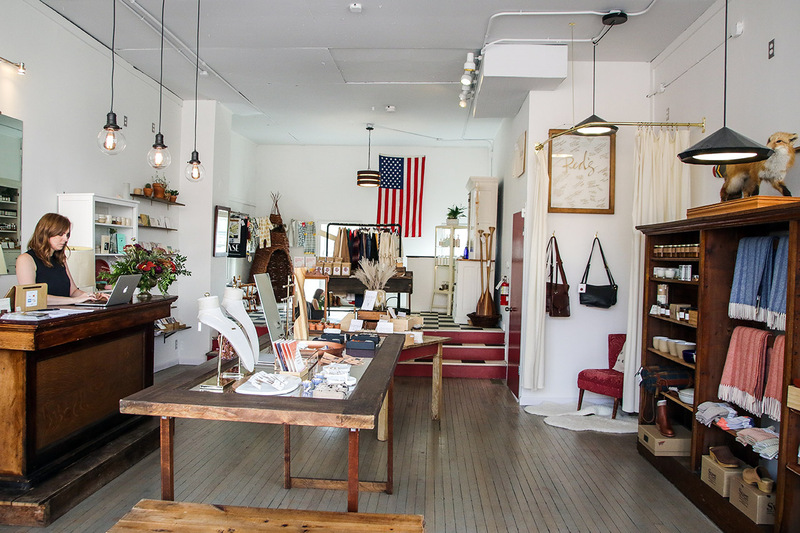 All their goods are sourced from the US to support independent makers across the country. 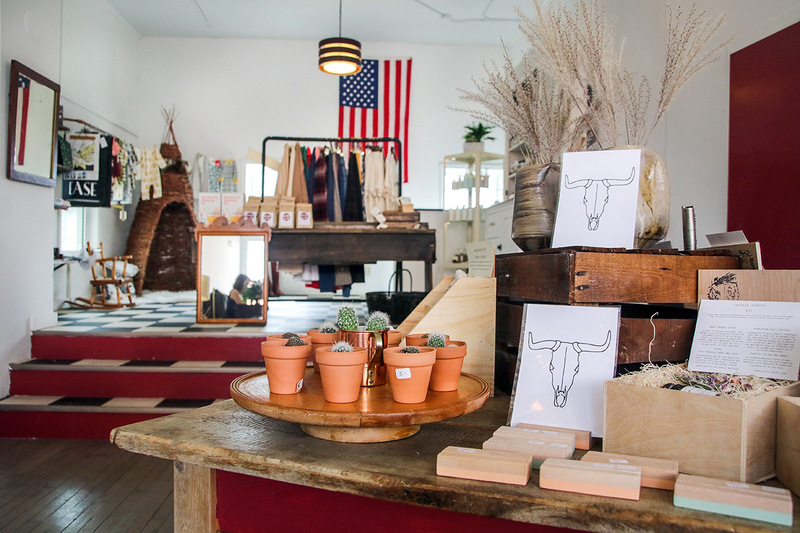 You can find made in America clothing, candles, paper goods, pottery, natural apothecary, jewelry + more. 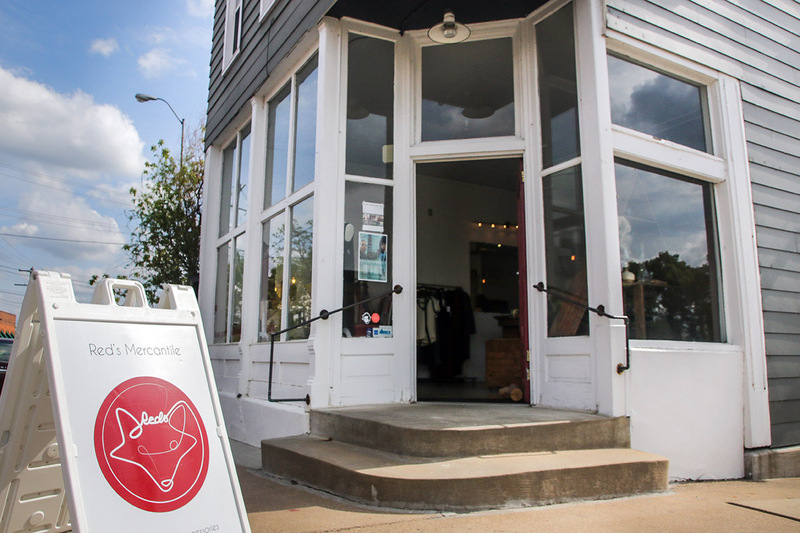 Red’s seeks to connect and empower women in authentic ways by hosting workshops, poetry readings, yoga, rallies, and concerts among other events. 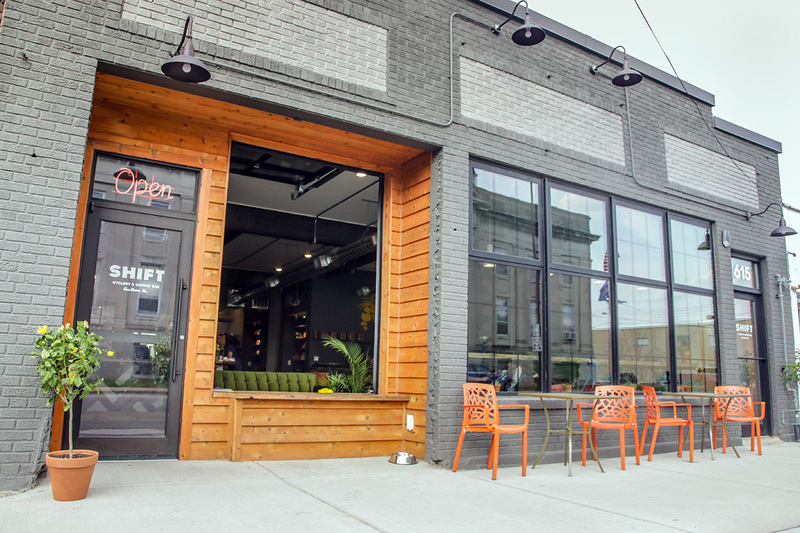 In 2016 the shop kicked off the Red Letter Grant - a social entrepreneurship arm of the store that awards grants bi-annually to women in the Chippewa Valley who want to start their own business. 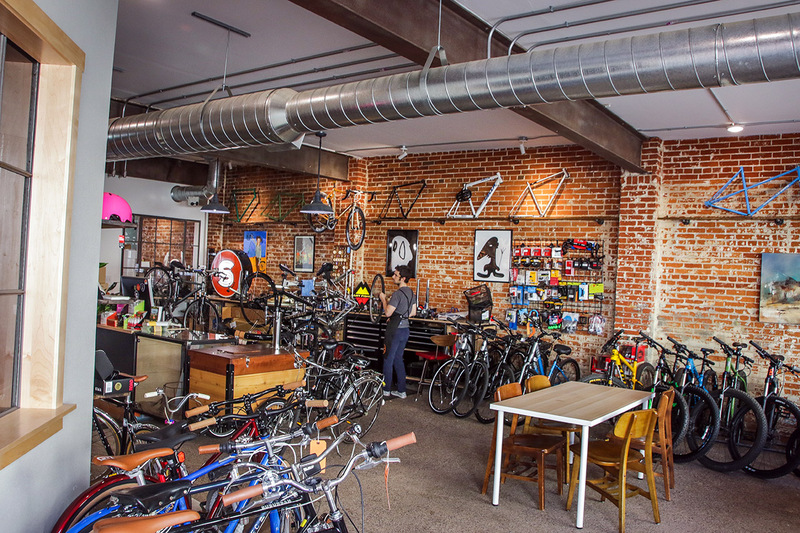 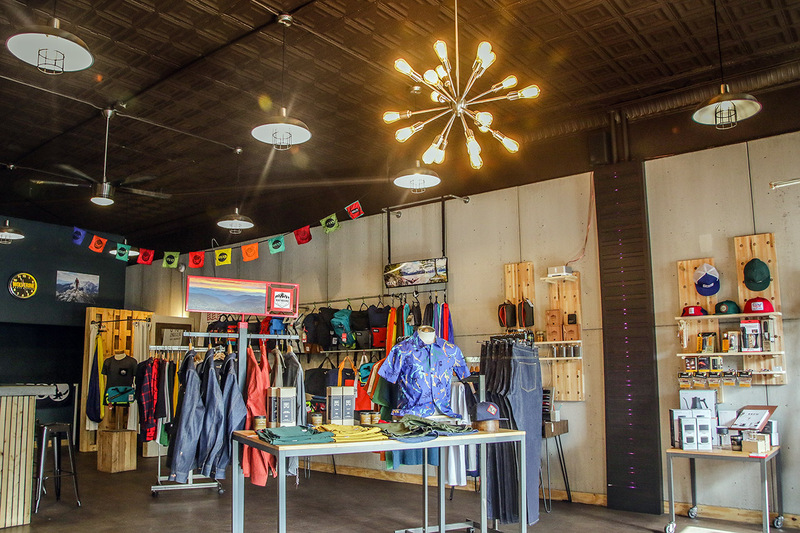 SHIFT Cyclery & Coffee Bar is a full-service bicycle repair shop, craft coffee bar, and all-around creative lounge in downtown Eau Claire. 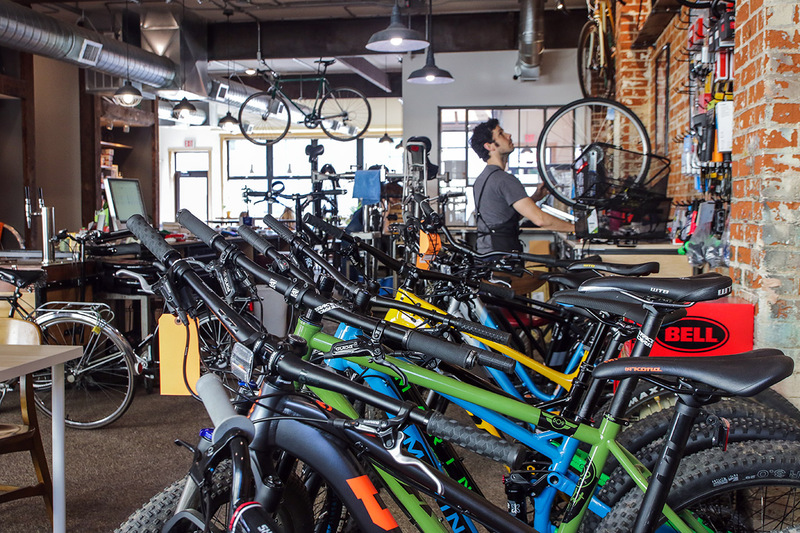 Find your new ride, bicycle and coffee gear all in one stop. 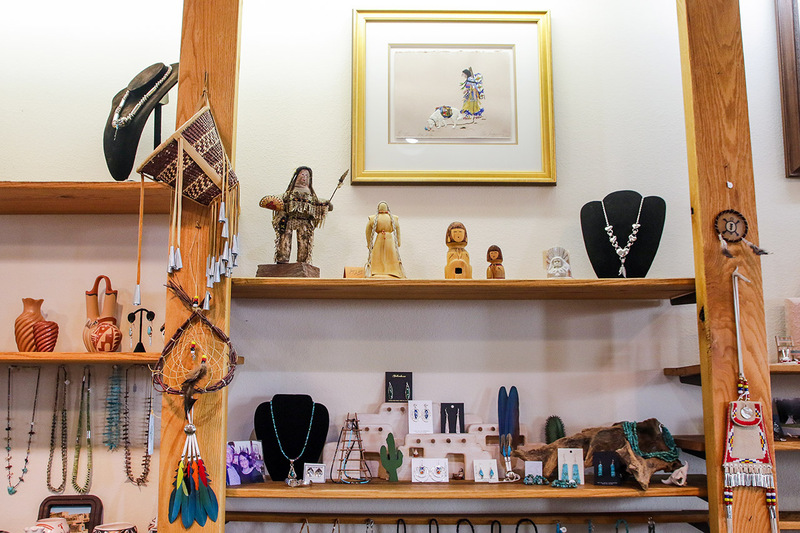 At Silver Feather in downtown Eau Claire you will find an incredible collection of handcrafted American Indian goods. 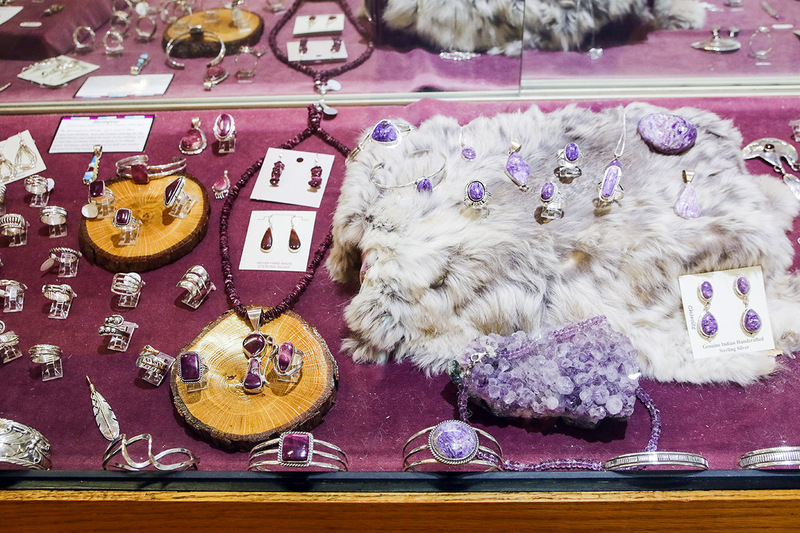 Featuring the largest selection of genuine jewelry using many different stones and shells. 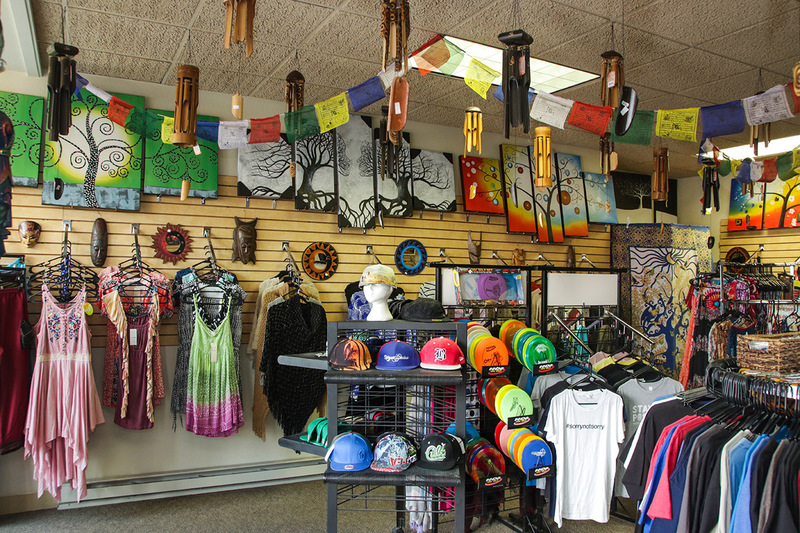 Browse through local art, dream catchers, fetish, pottery, and more. 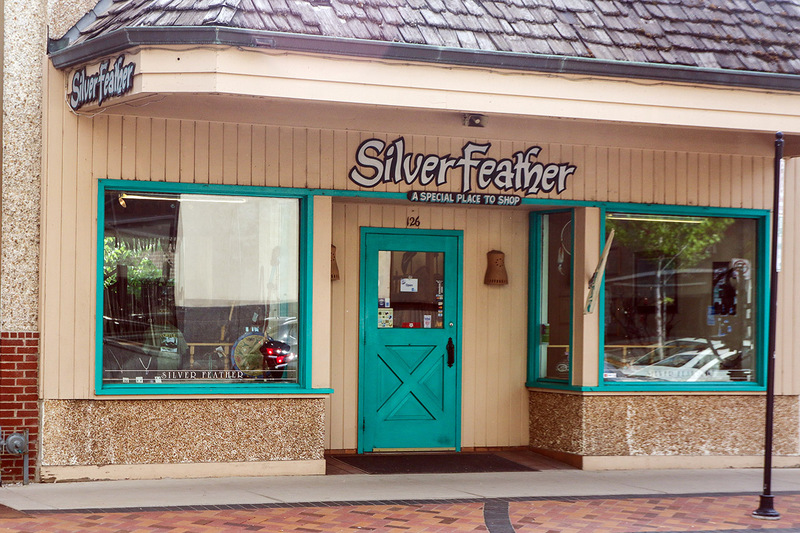 Come experience the essence of the Silver Feather. 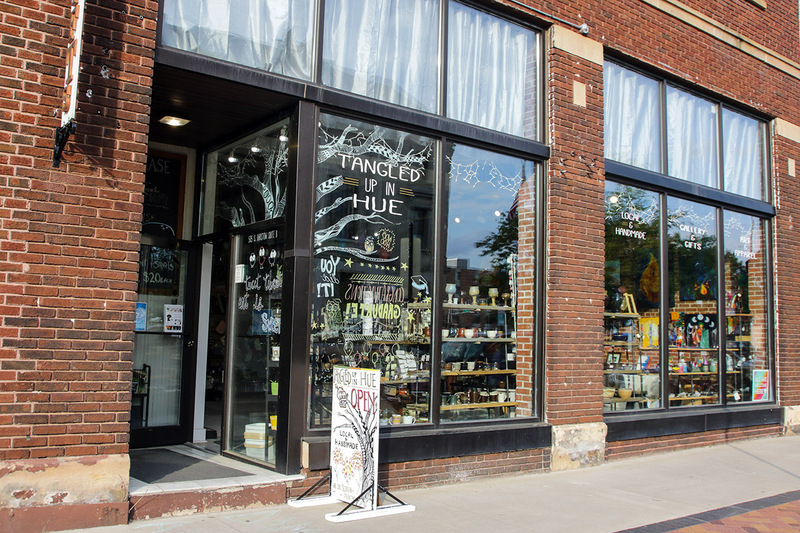 Tangled Up In Hue is an art collective located in downtown Eau Claire, Wisconsin. 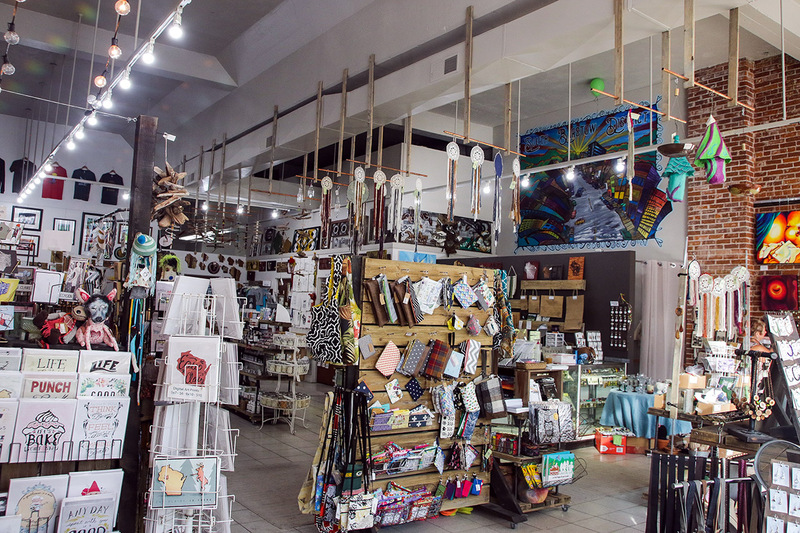 Owners Erin Klaus and Jamie Kyser have created a space for local artists and crafters to sell handmade, original art at an affordable cost. 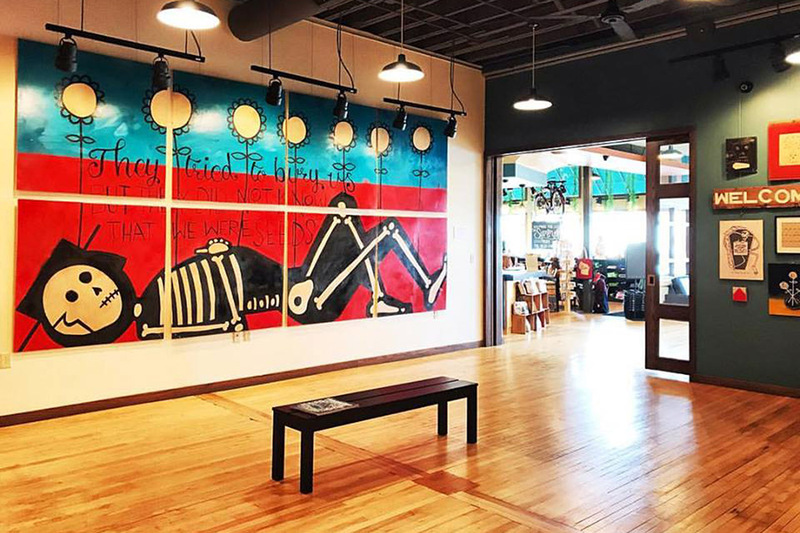 Open seven days a week, the collective currently supports over 100 artists from Wisconsin. 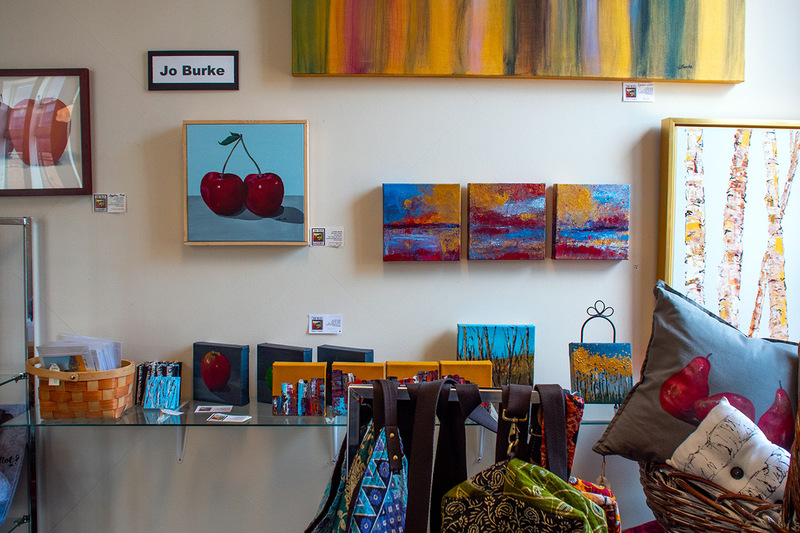 Most of these artists reside in the Chippewa Valley. 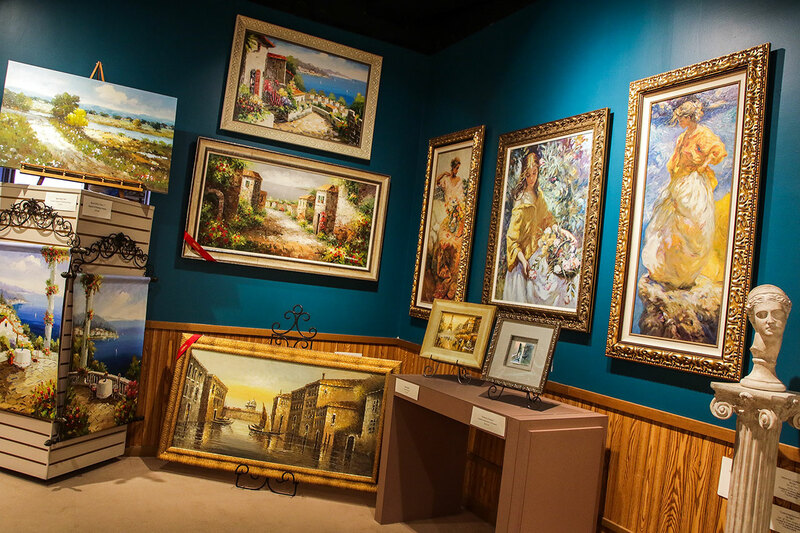 Special events include artist receptions and musical performances held on the first Friday of every month. 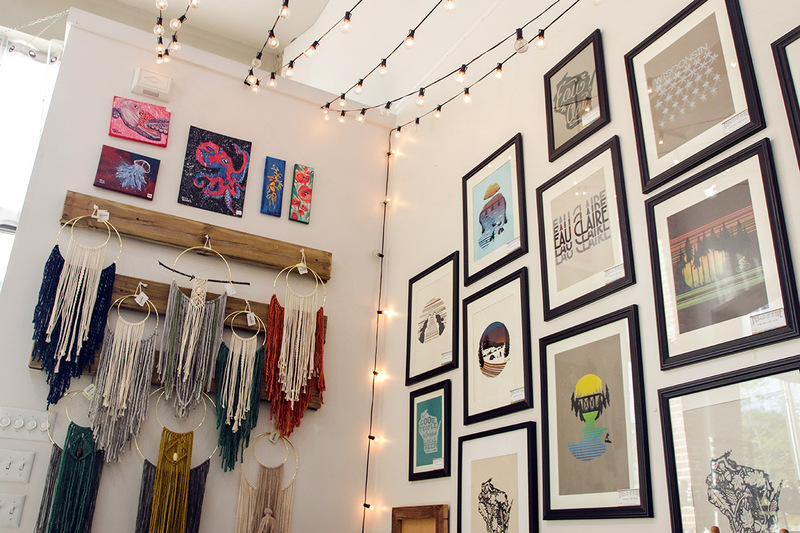 Tangled Up in Hue also runs and vends The Artist Market of Eau Claire located in Phoenix Park. 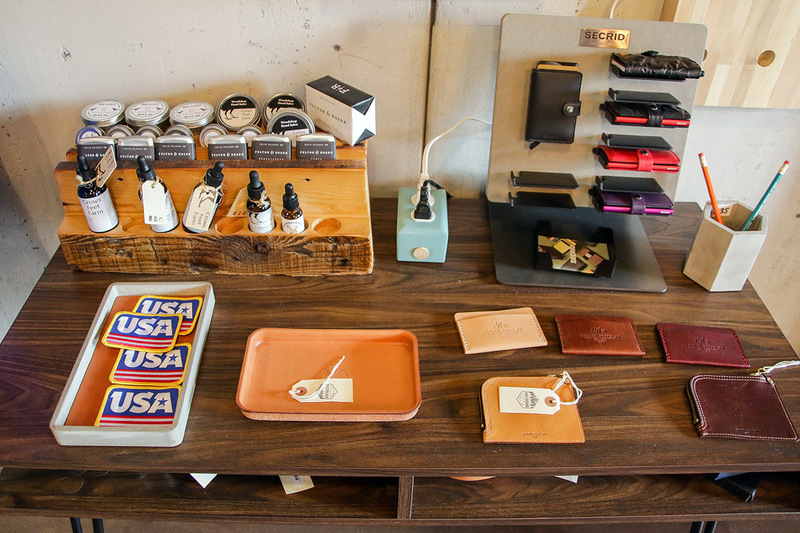 Simply stop in to at any of the nearly participating shops and pick up your passport. 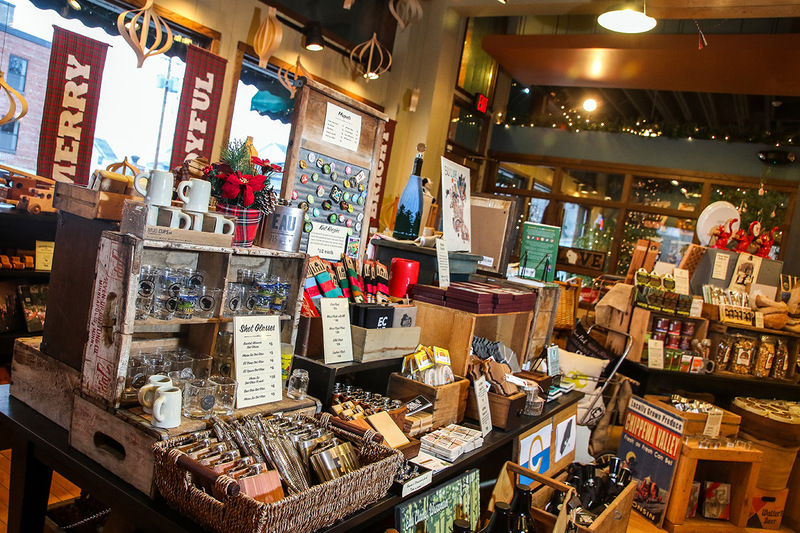 To be eligible for the shopping spree, all ten blocks must be stamped or signed by retail management or designated staff in their special manner. 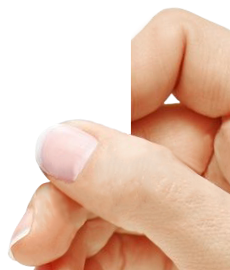 Forgery will not be tolerated. 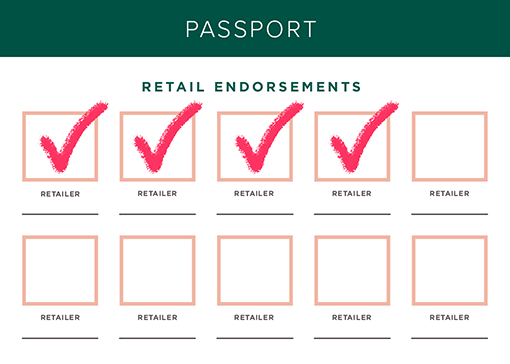 Each block must be stamped or signed by different retailers, repeat retailers are not permitted. 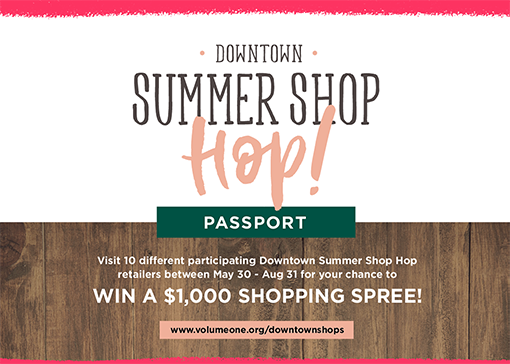 Completed passports must be mailed or turned in to Volume One / The Local Store, at 205 N. Dewey Street in Downtown Eau Claire by Aug. 31, 2018, and the winners will be randomly selected shortly after.